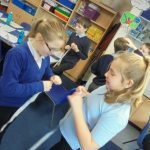 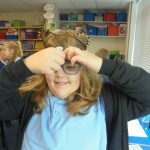 Year 5 spent the afternoon researching the similarities and differences of Viking and Saxon boats so that we make accurate replicas for our museum. 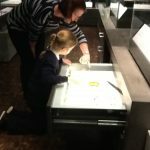 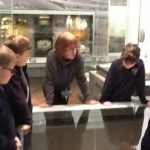 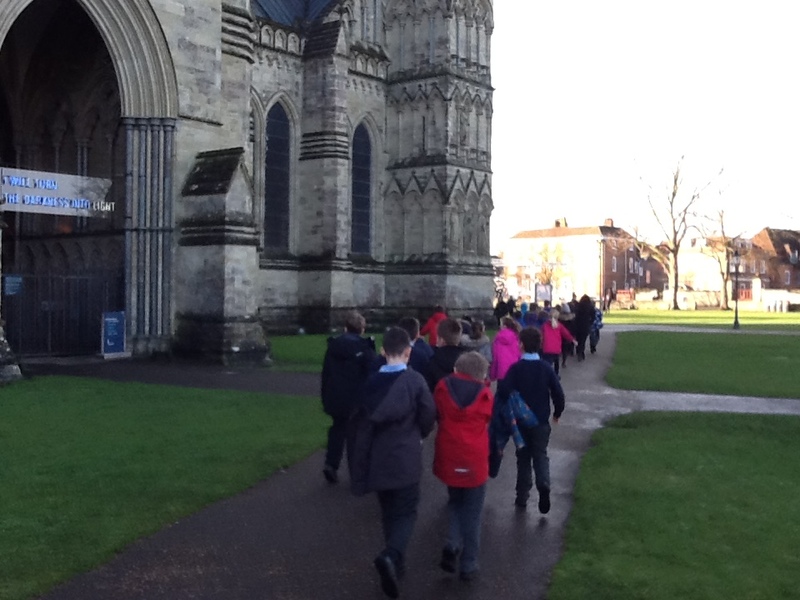 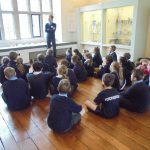 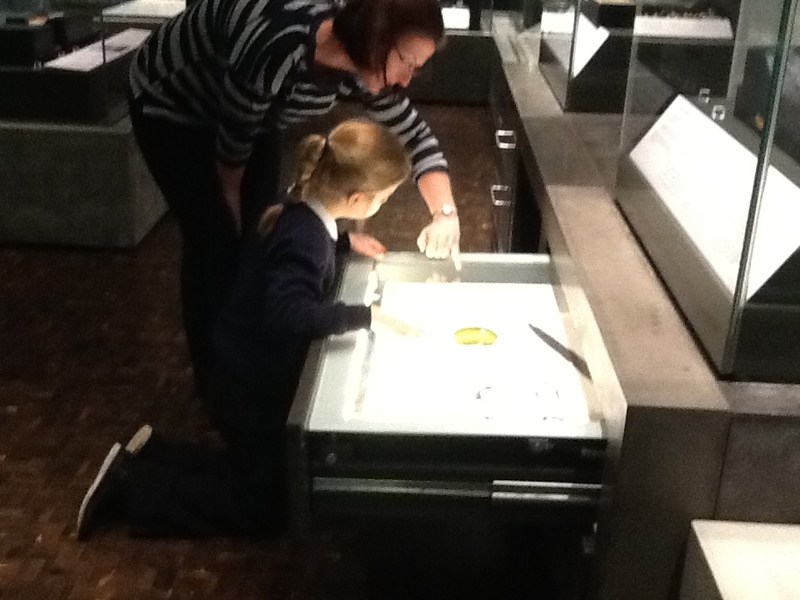 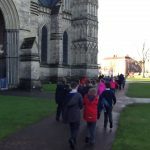 On Tuesday 22 January, all Year 4 and 5 children had the opportunity to visit The Salisbury Museum. 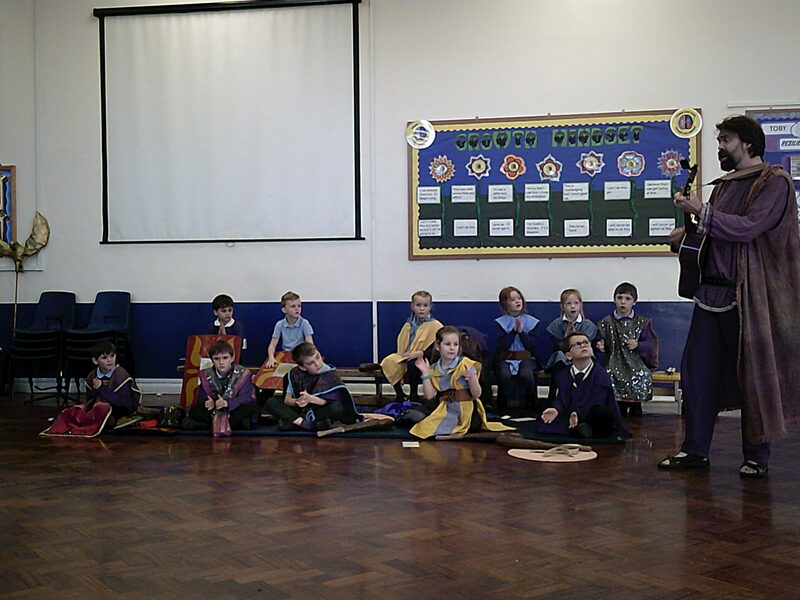 We all had a really interesting day with Owain and his volunteers. 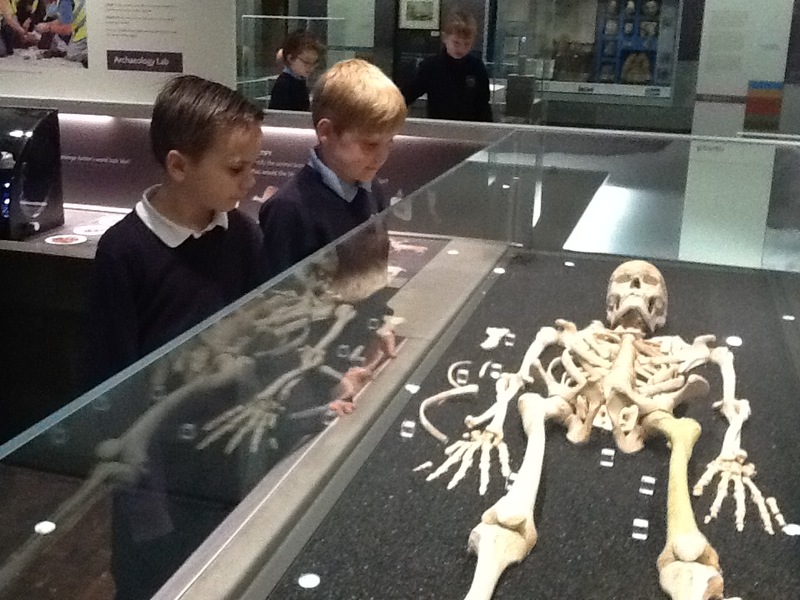 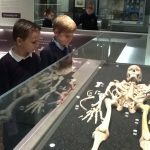 We learnt lots about the Saxons and how they settled in and around Salisbury, the museum was exciting to explore and the children enjoyed looking at all the skeletons on display! 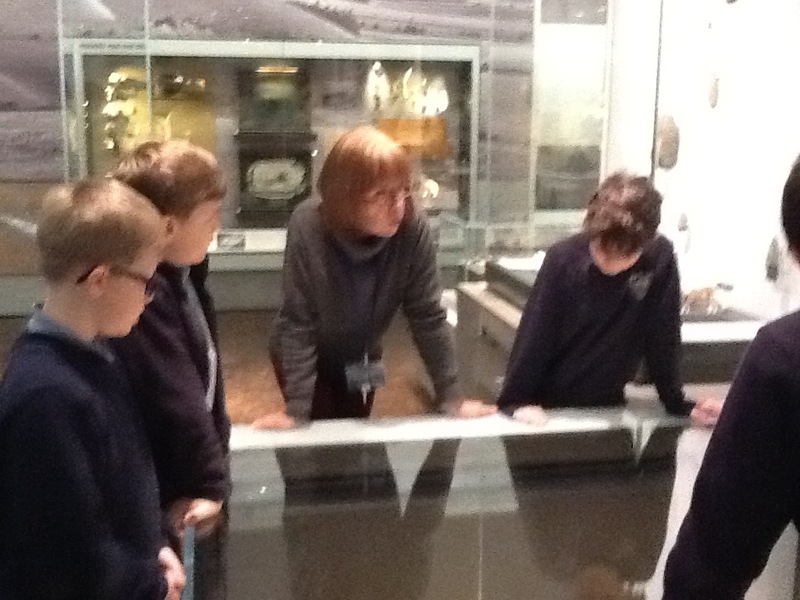 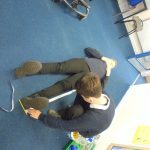 Next week Owain and the volunteers will be coming into school to teach us more about how museums are set up. 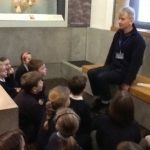 They will be helping us to prepare for our own Museum, which will be open to friends and family on Friday 1 February from 2:30- 3:30pm. 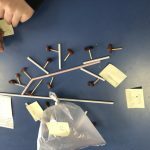 Do you know your Bronchus from your Alveoli? 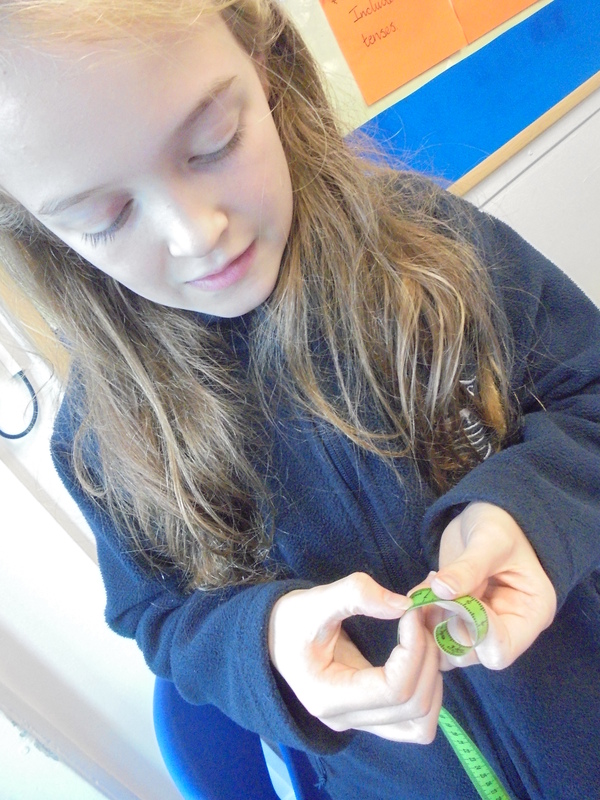 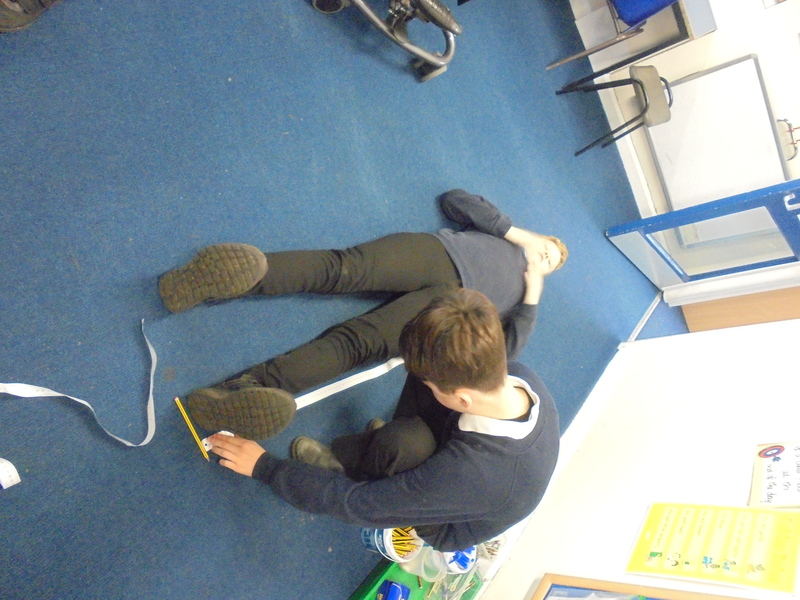 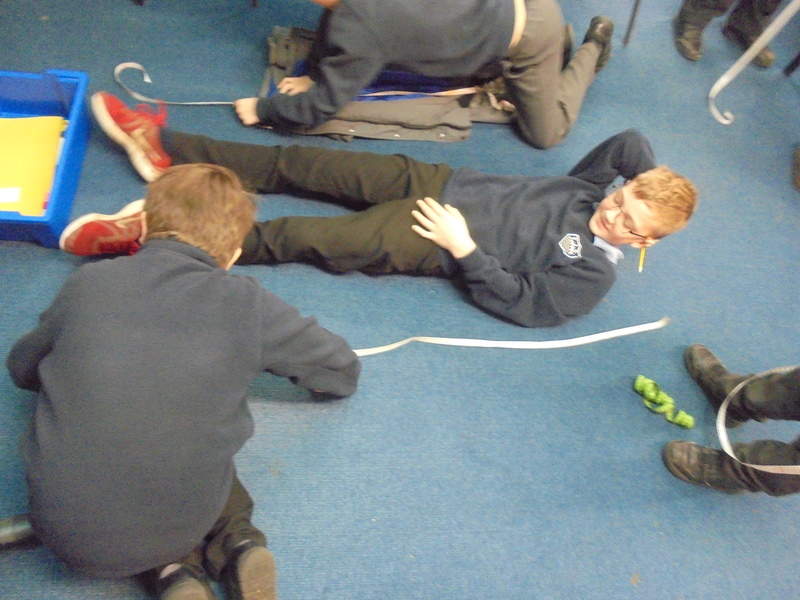 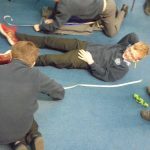 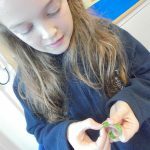 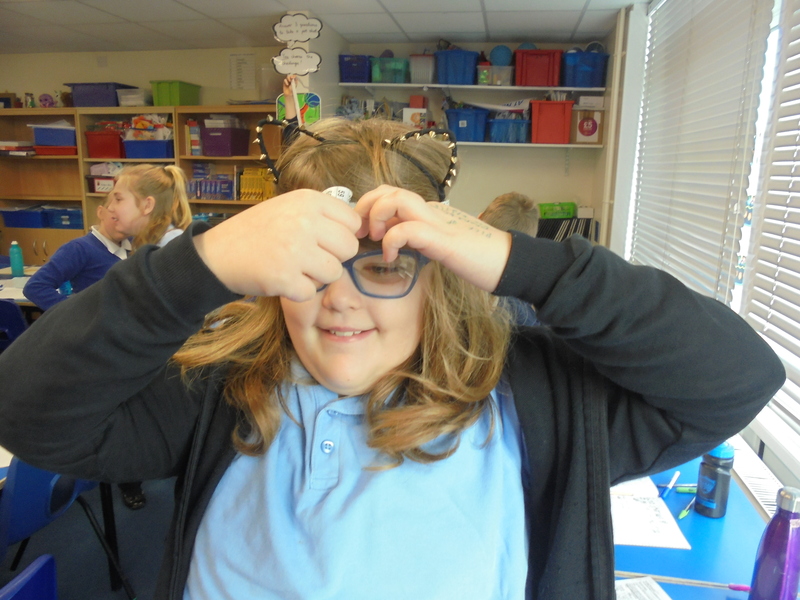 Year 6 have been learning all about the circulatory system and today explored the lungs. 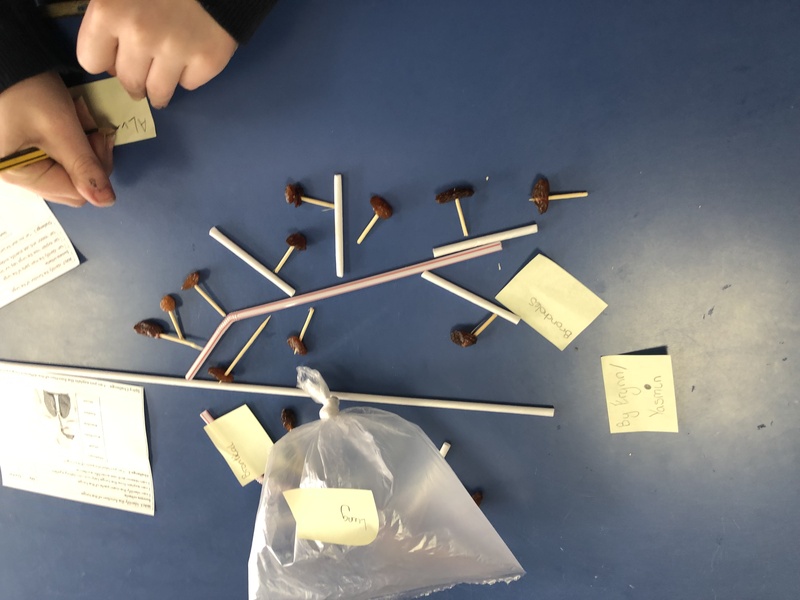 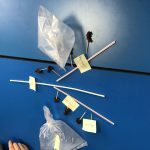 We built our own lung system, labelled the key parts before explaining how the lungs work and the key functions. 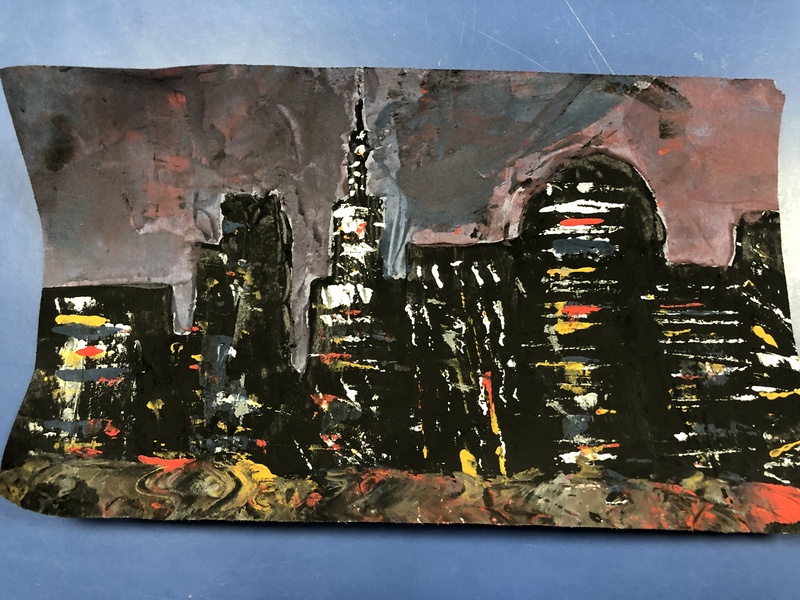 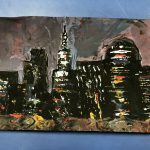 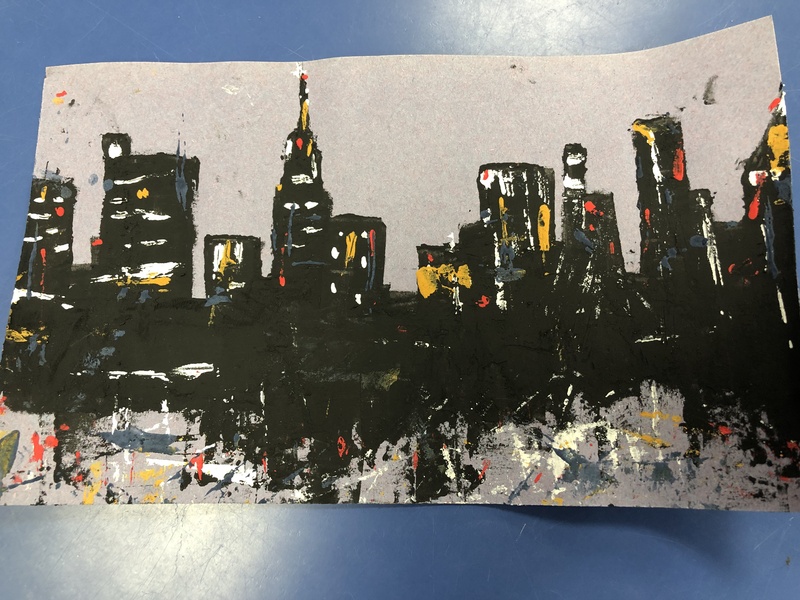 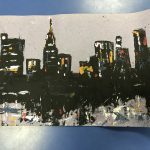 Year 6 have been using acrylic paint to produce their own cityscape. 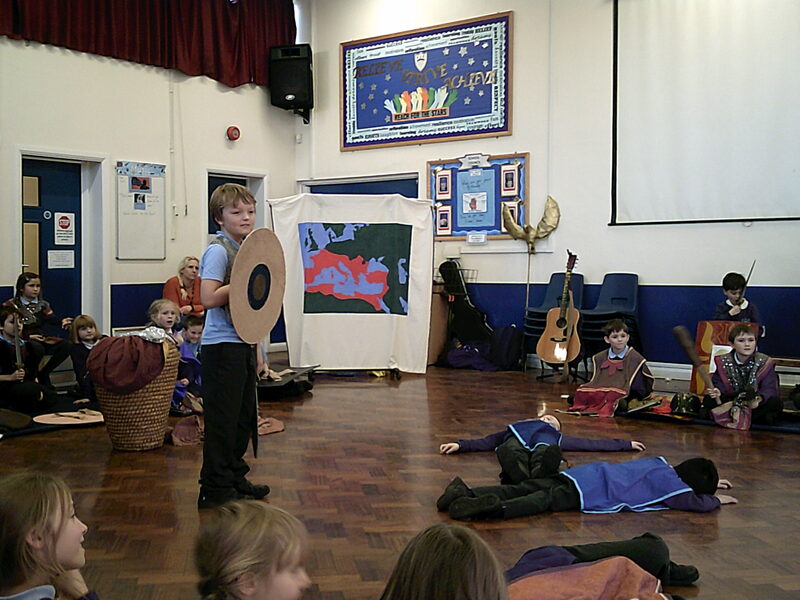 What effective artwork, which they were rightly proud of! 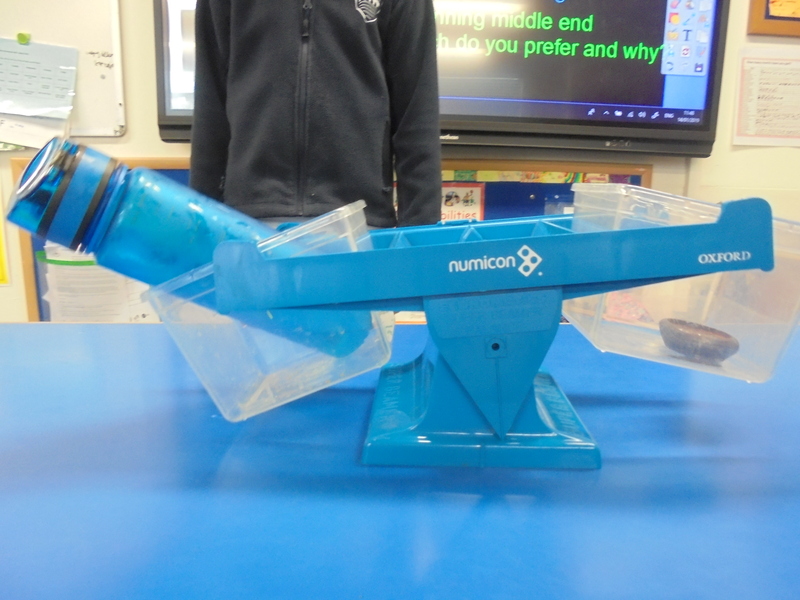 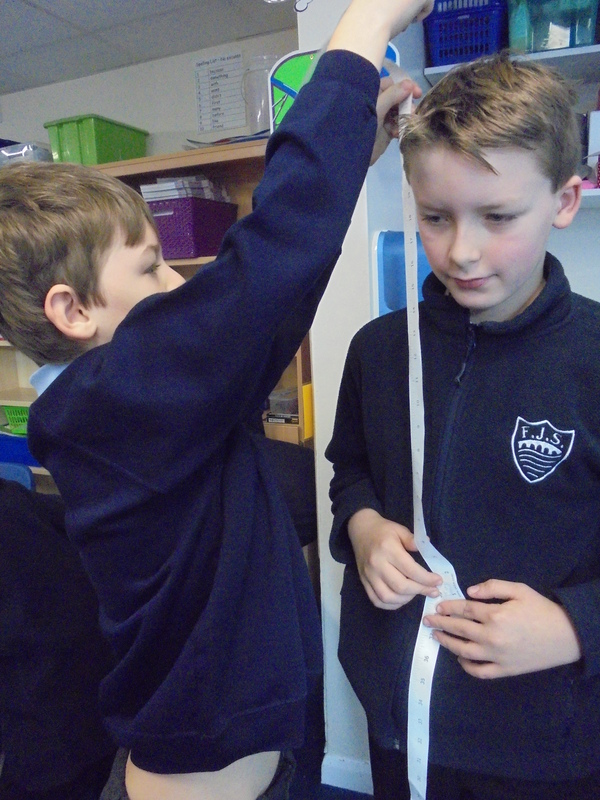 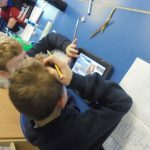 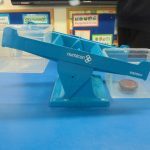 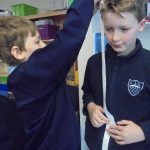 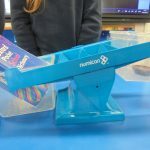 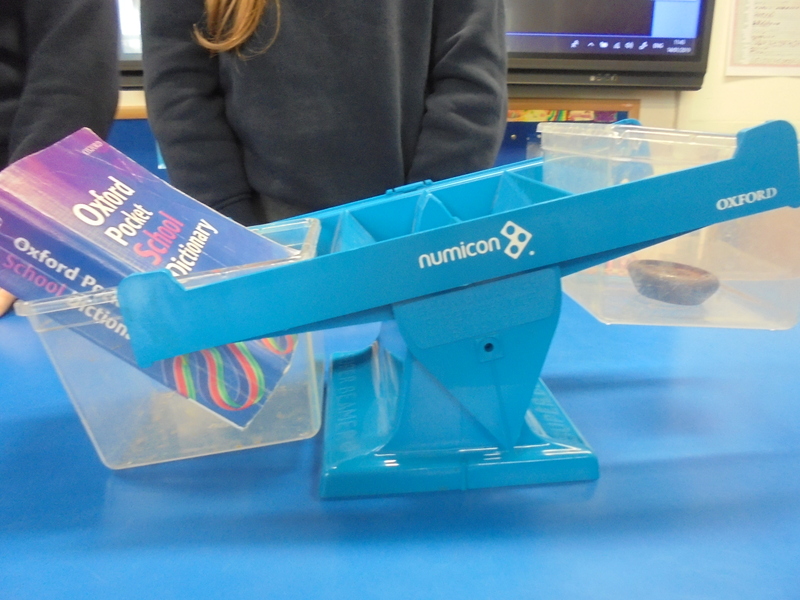 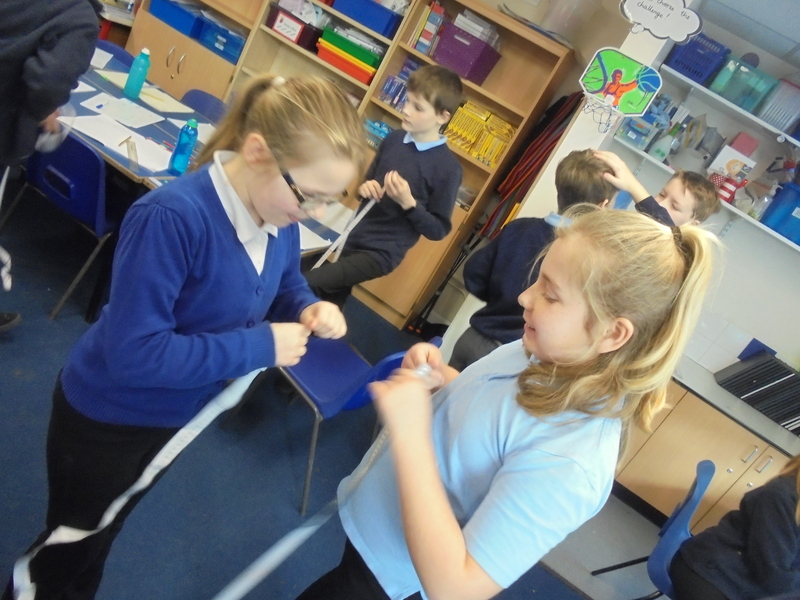 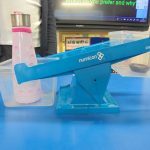 We have been improving our knowledge of measures.First we found all sorts of things to measure in cm and then we tried to convert them into mm and m.
Today we thought about how to measure mass/weight.We have heard of pounds, stones, grams and kilograms. 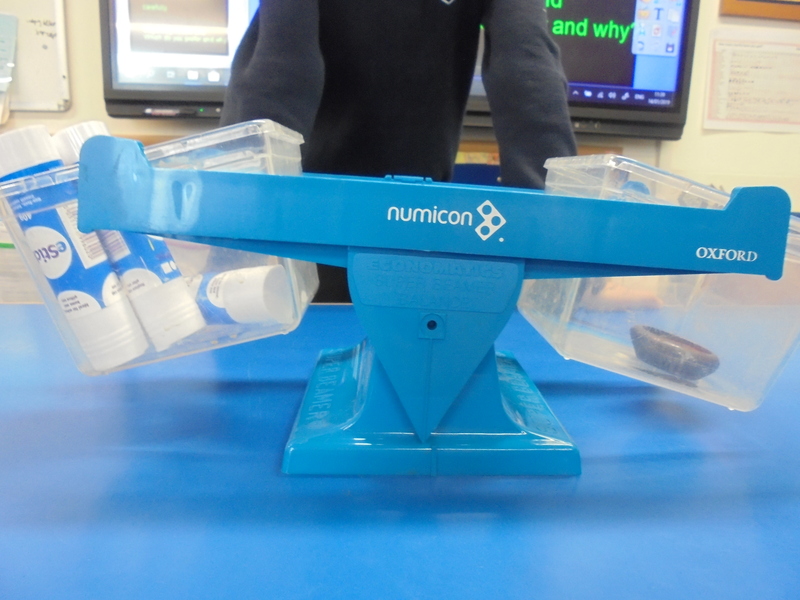 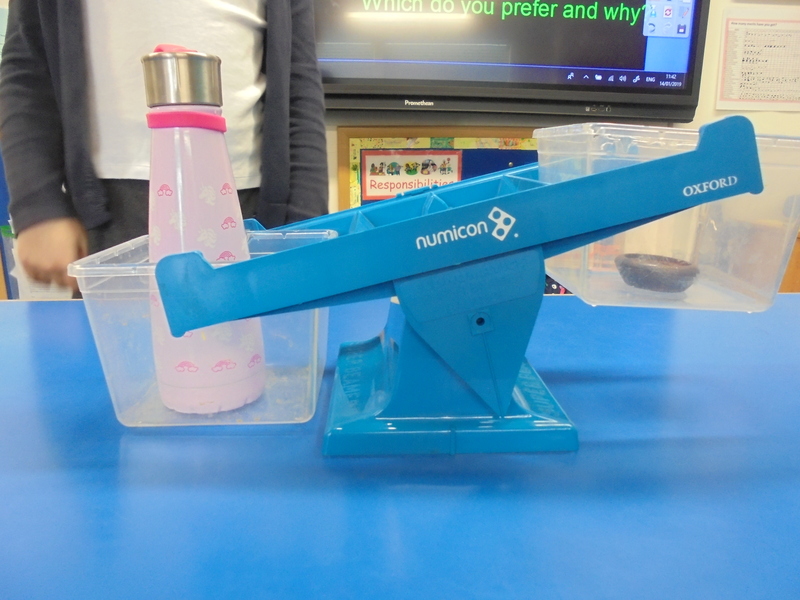 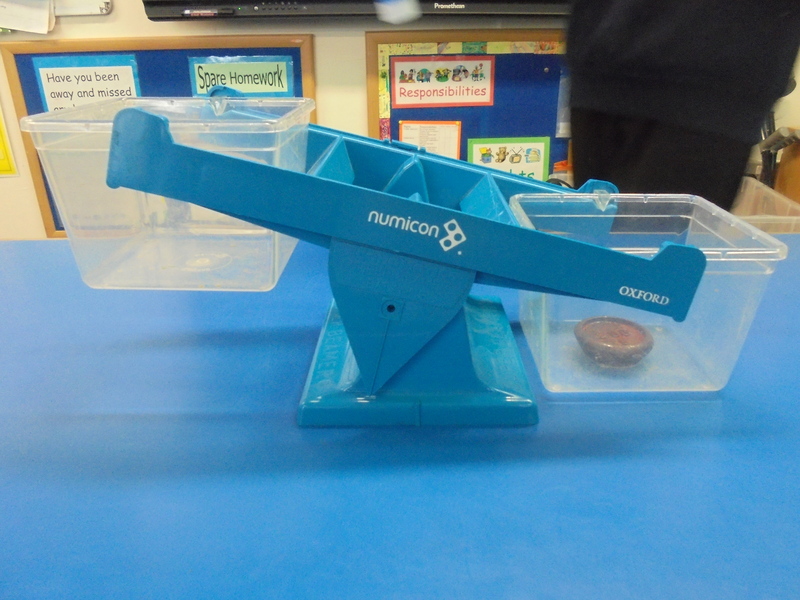 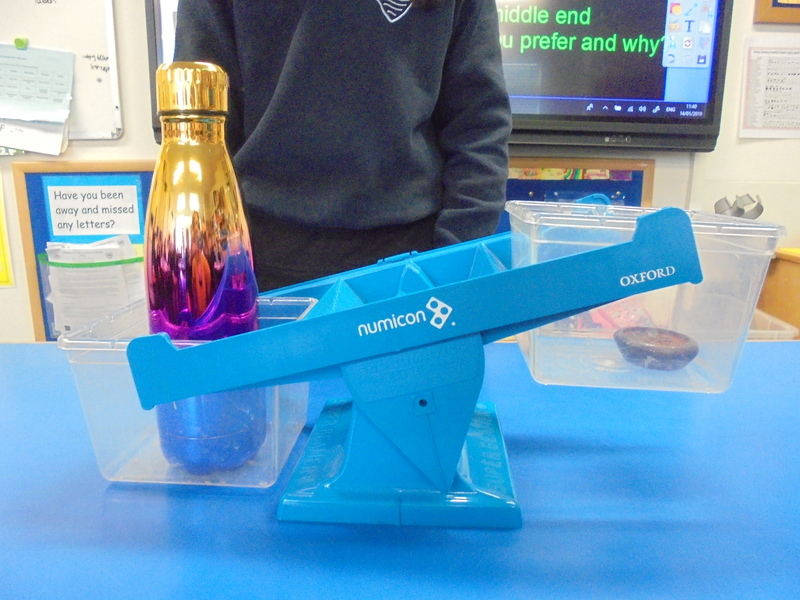 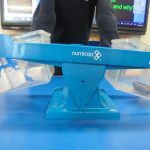 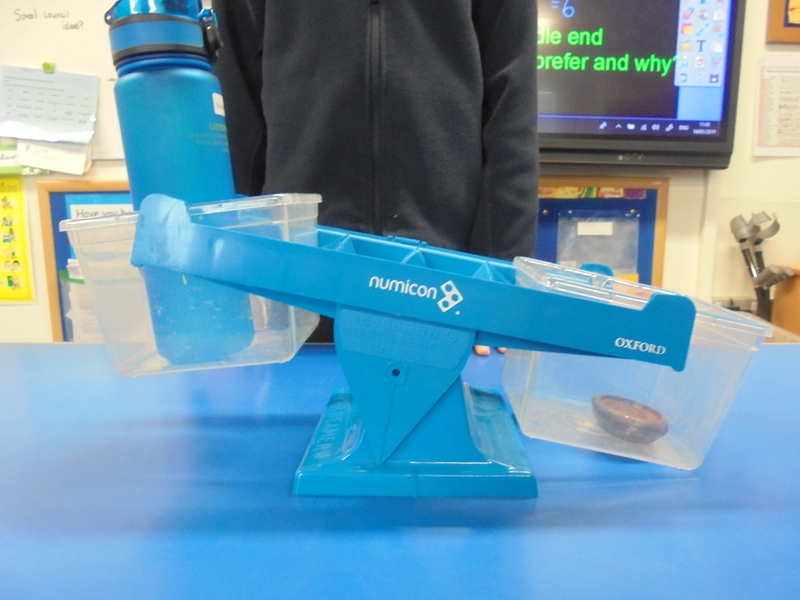 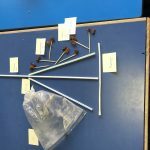 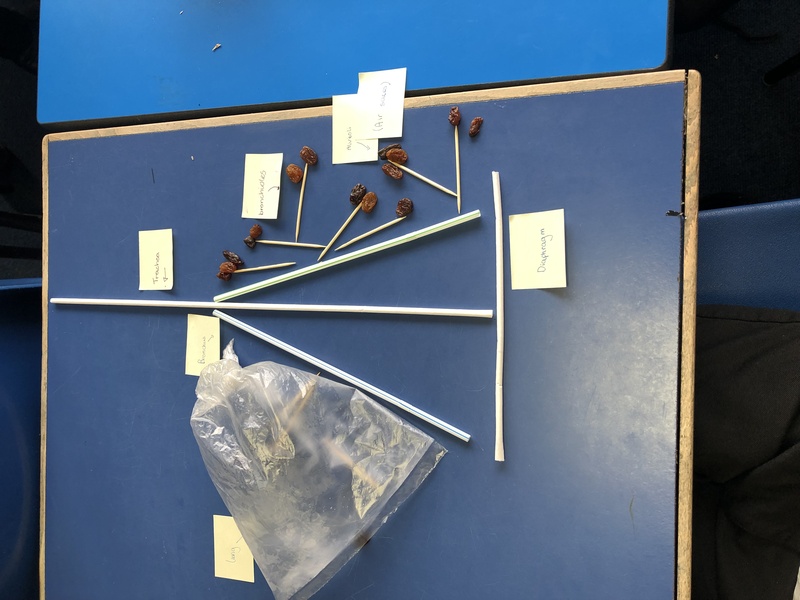 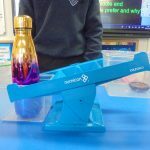 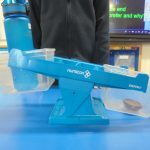 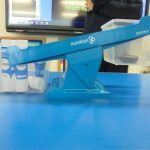 We feel very lucky not to be counting in 14s and 16s.After handling a 200g weight, we decided on objects that might balance it out.If our first ideas weren’t close we looked at ways to get closer.One group ‘The Glues’ achieved a perfect balance. 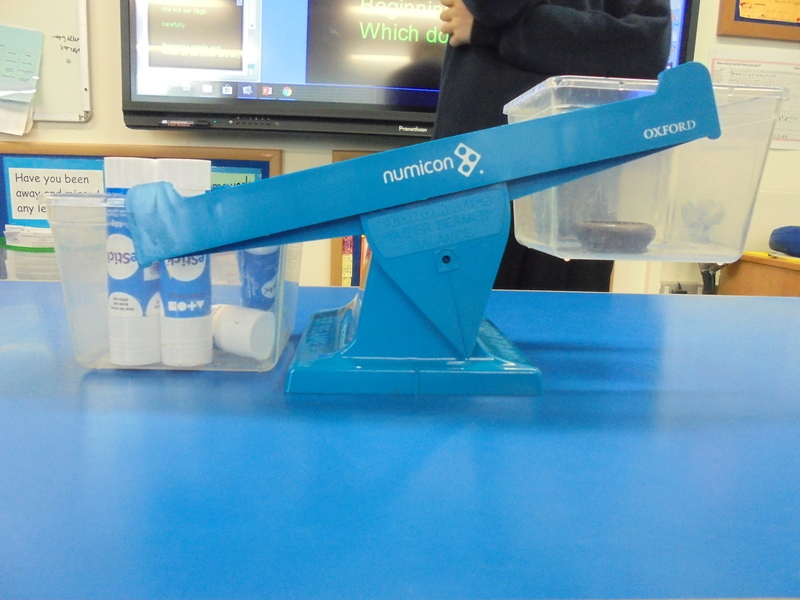 Tomorrow we test out our estimates for 1000 g or 1kg. 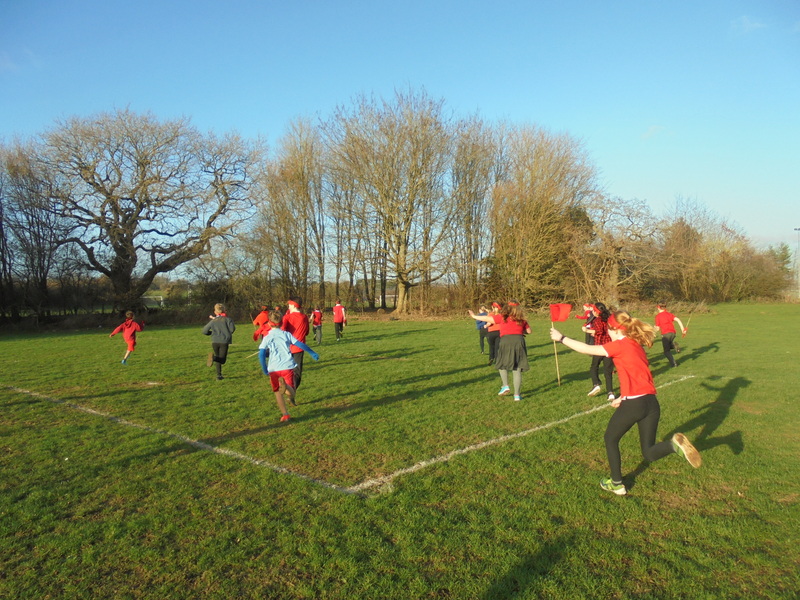 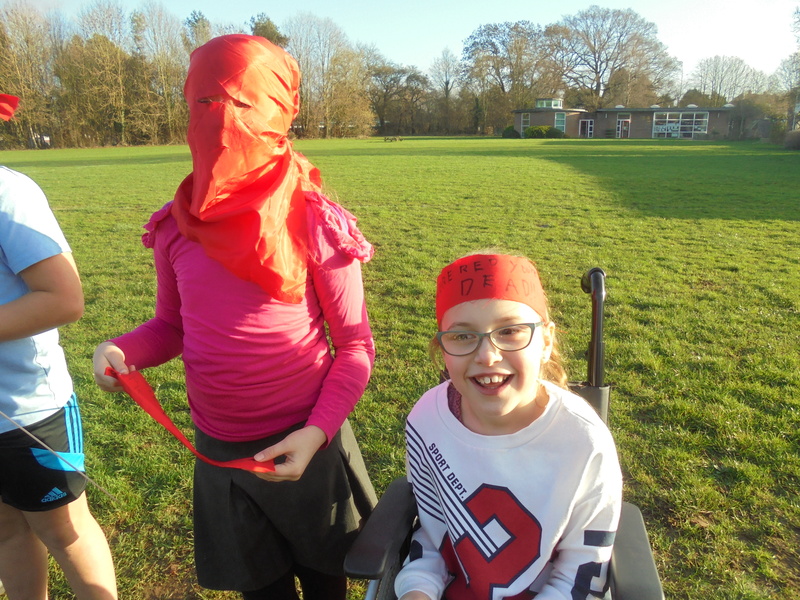 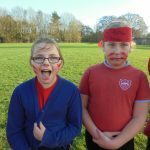 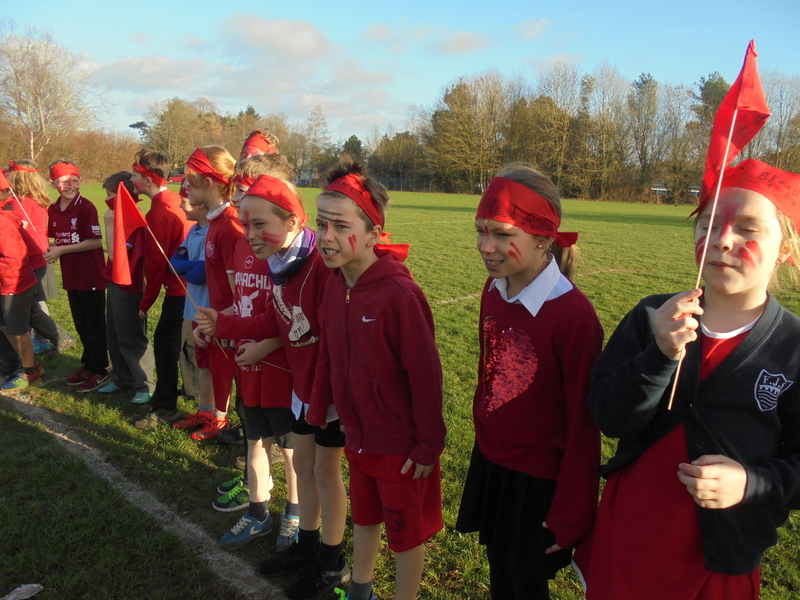 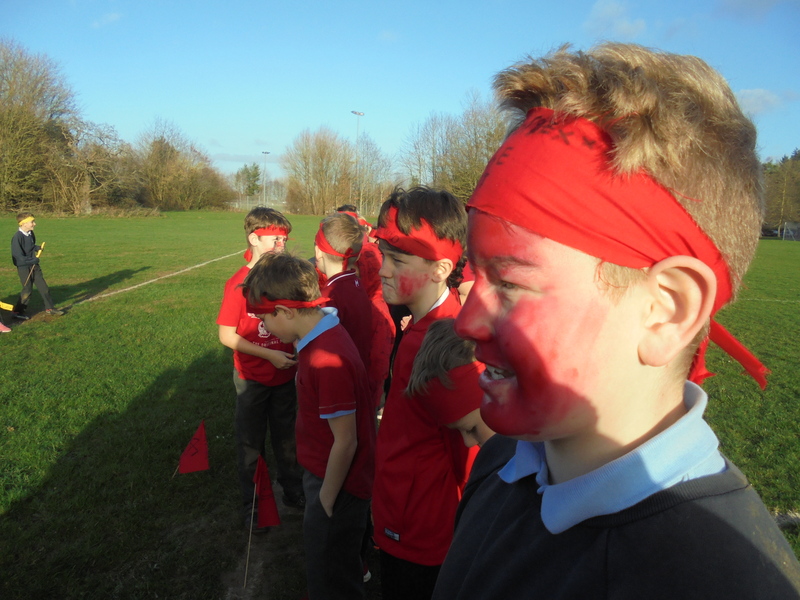 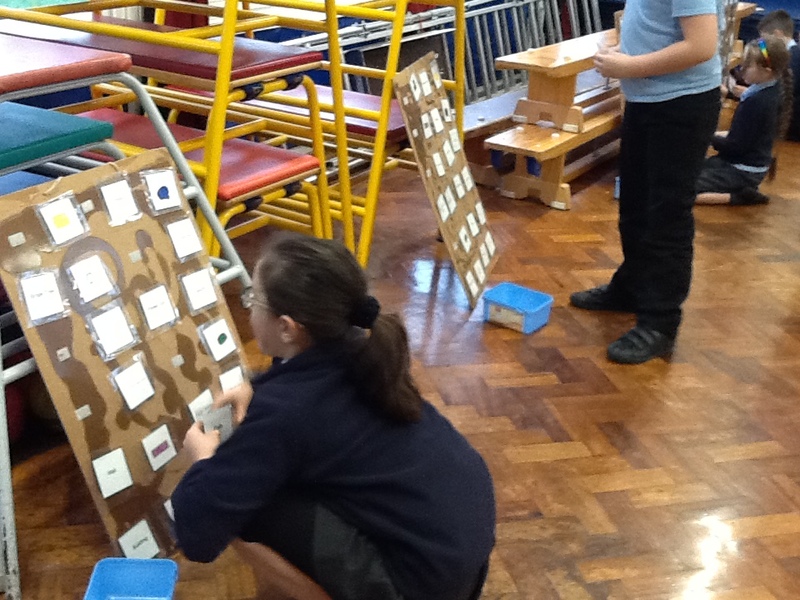 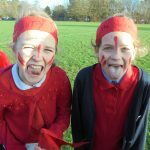 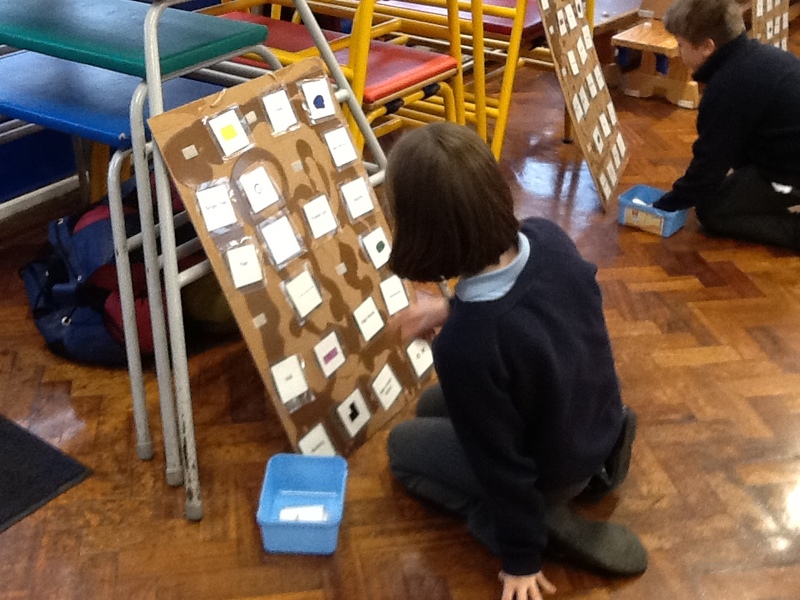 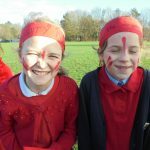 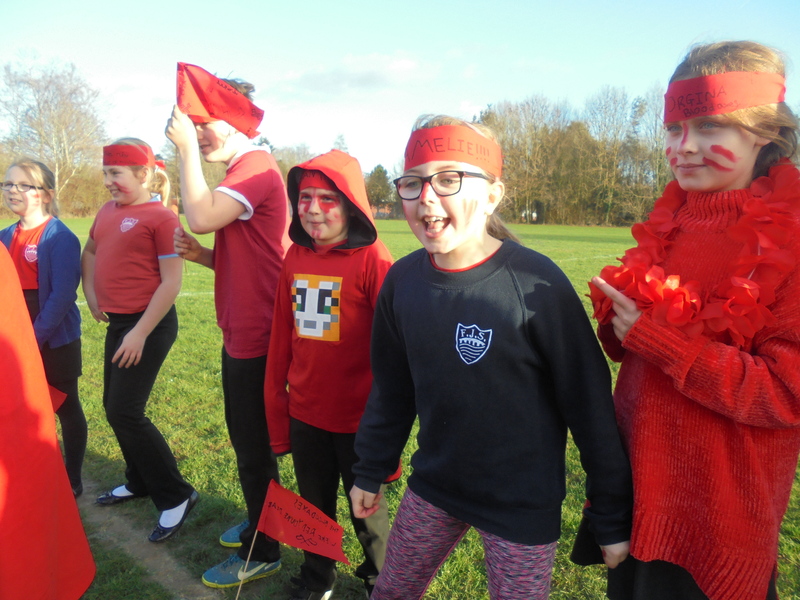 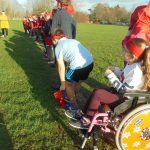 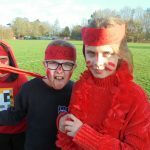 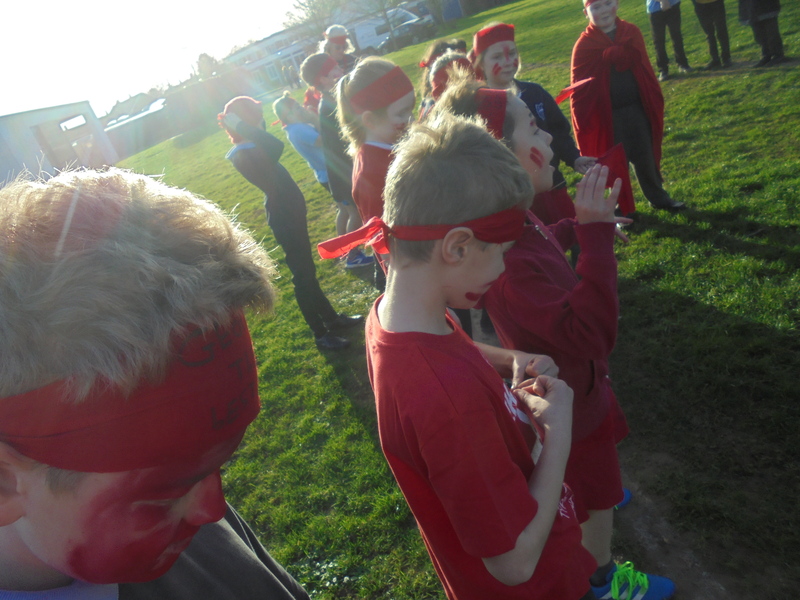 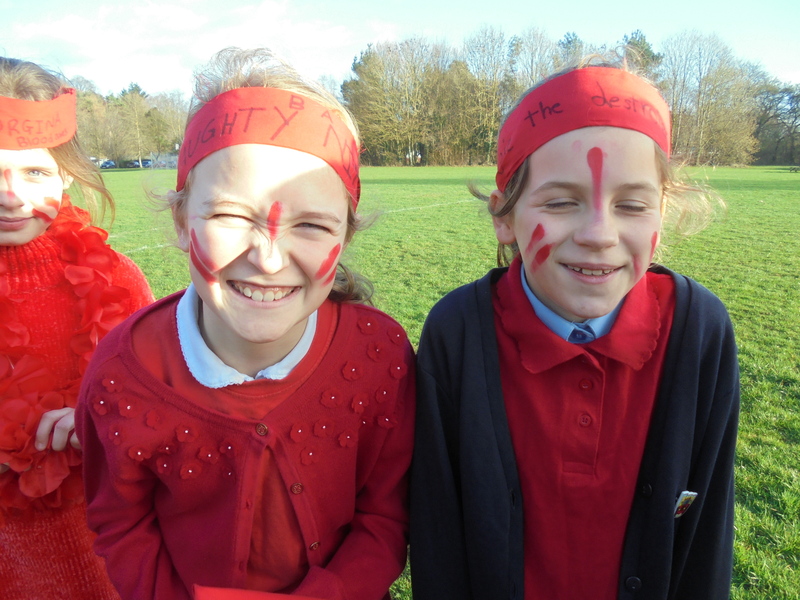 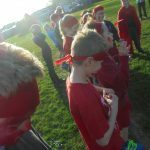 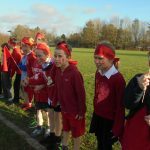 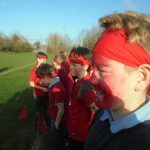 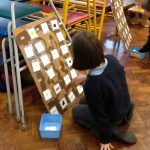 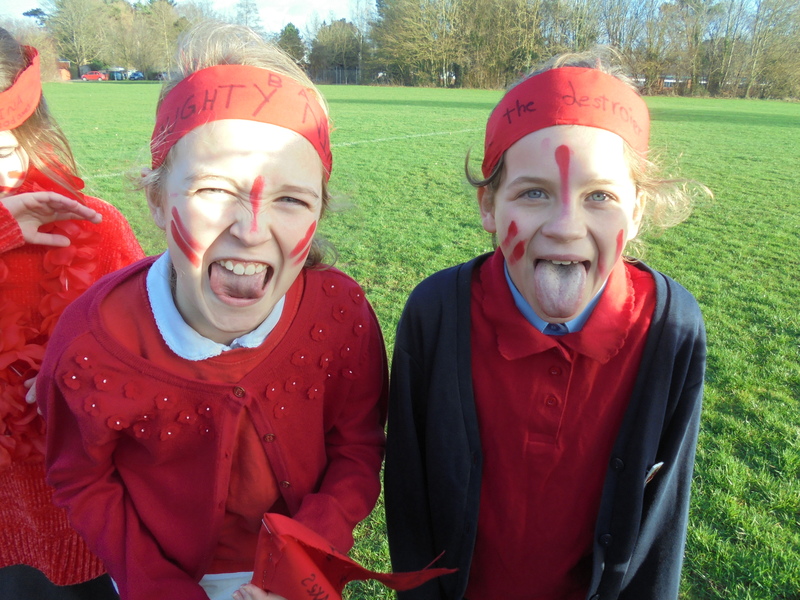 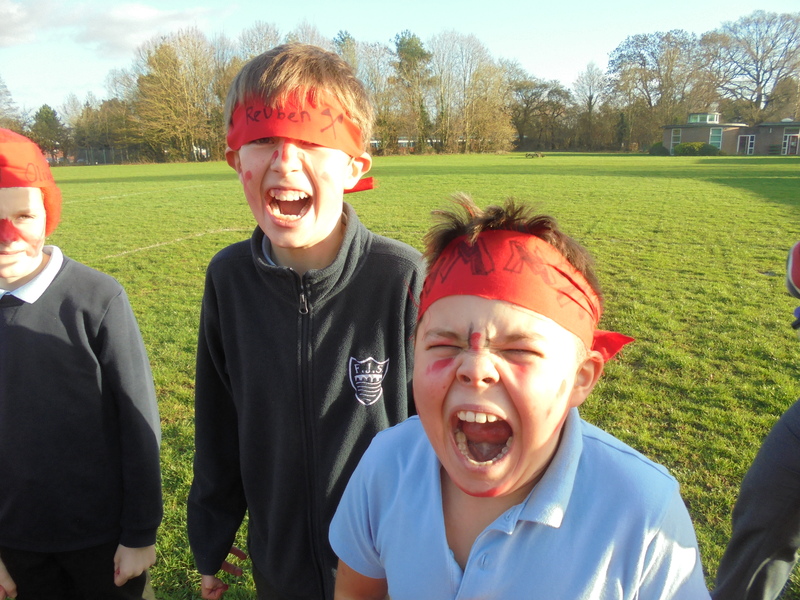 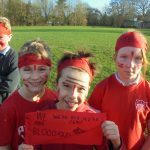 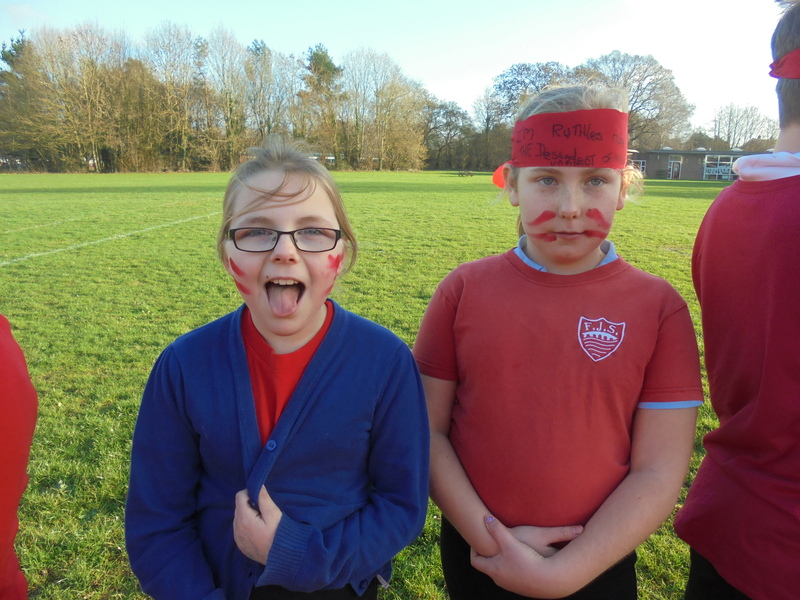 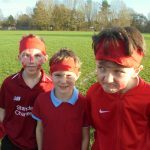 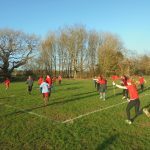 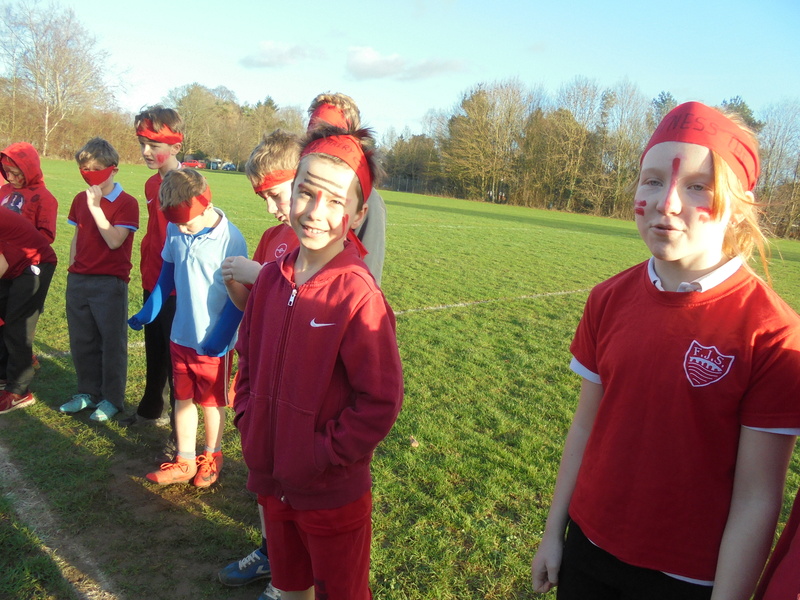 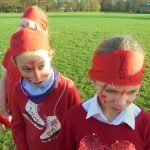 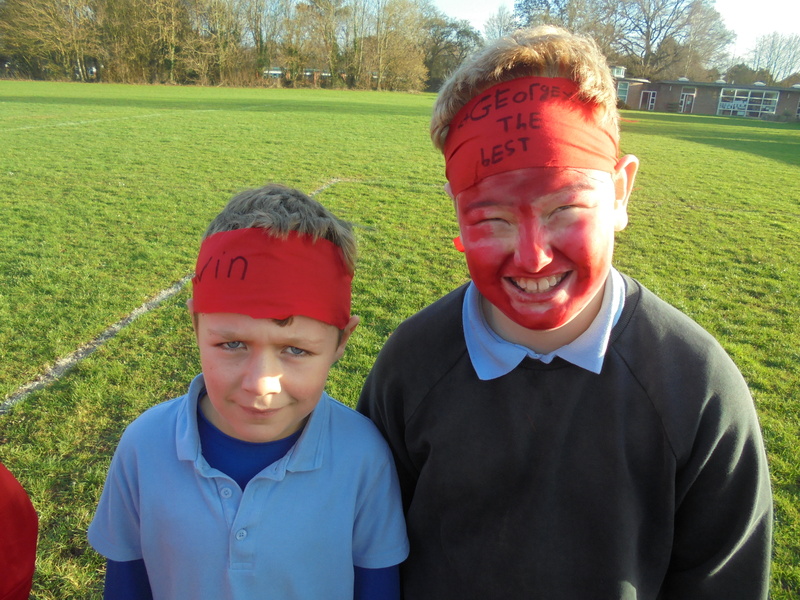 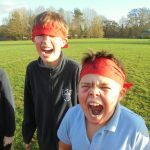 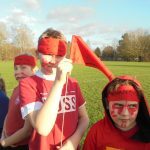 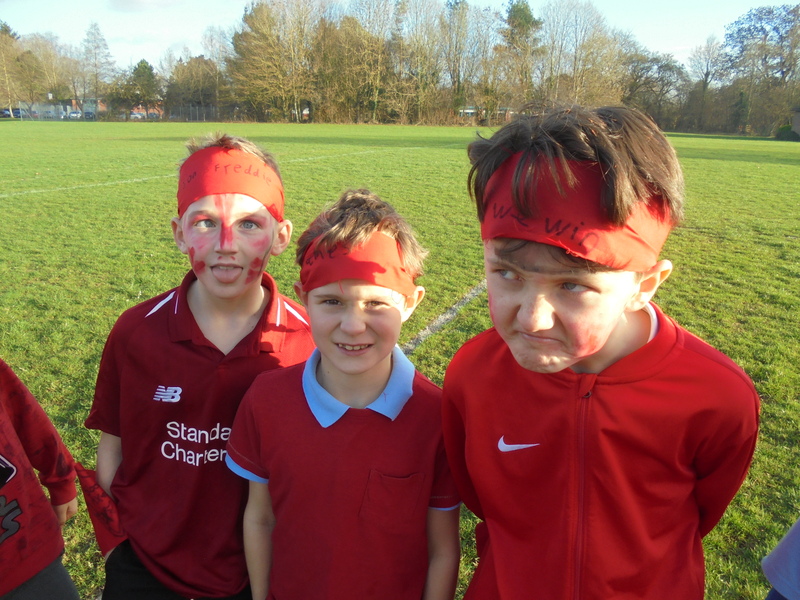 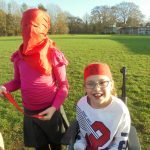 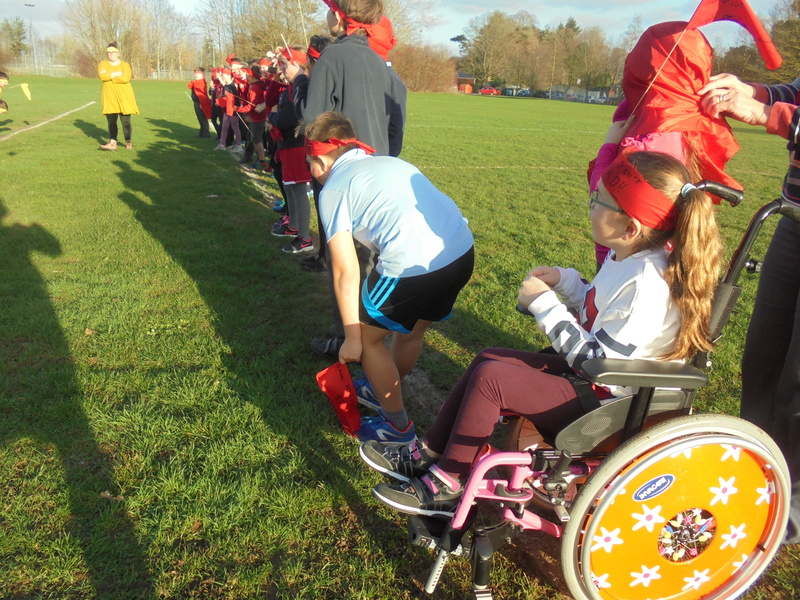 This week Year 4 have been learning about orienteering in PE lessons. 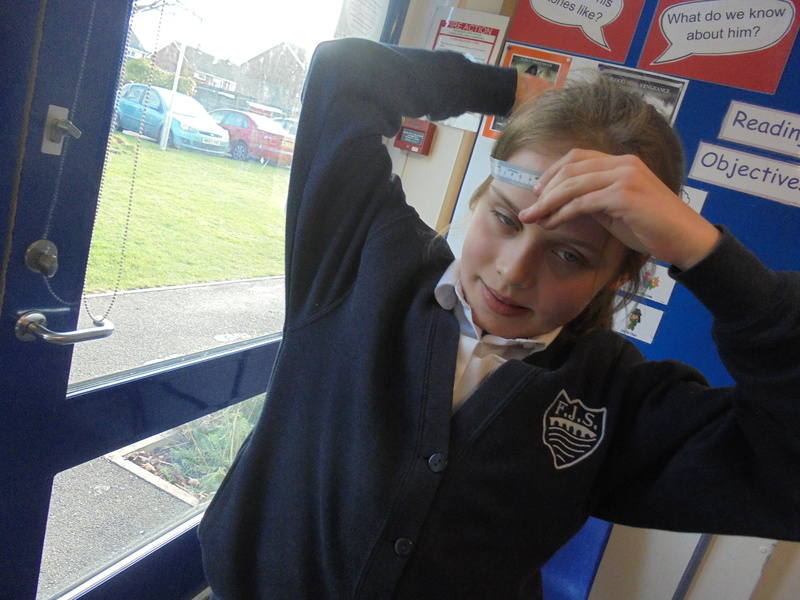 We learnt about the symbols used on Ordnance Survey maps and how orienteering was first introduced by the Swedish armed forces. 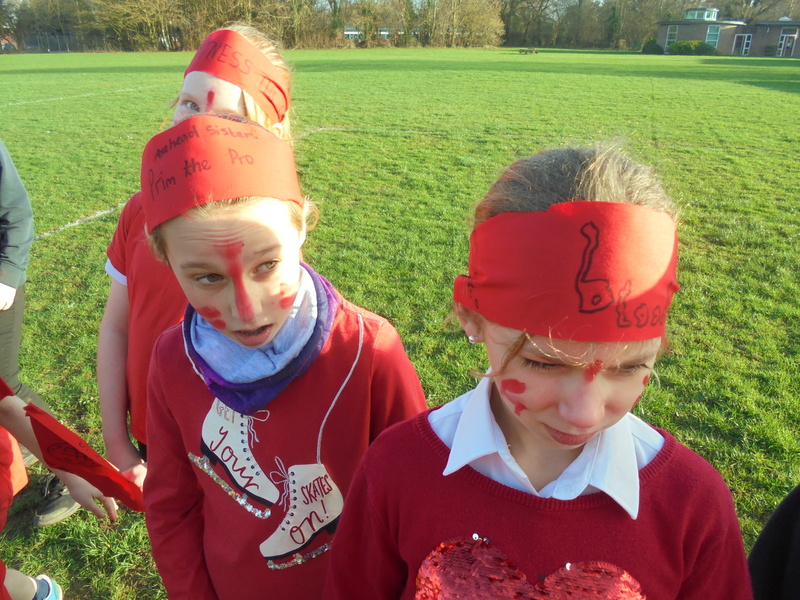 In these pictures we are playing a team game where we had to match the symbol with the meaning. 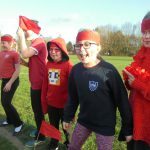 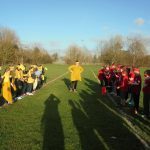 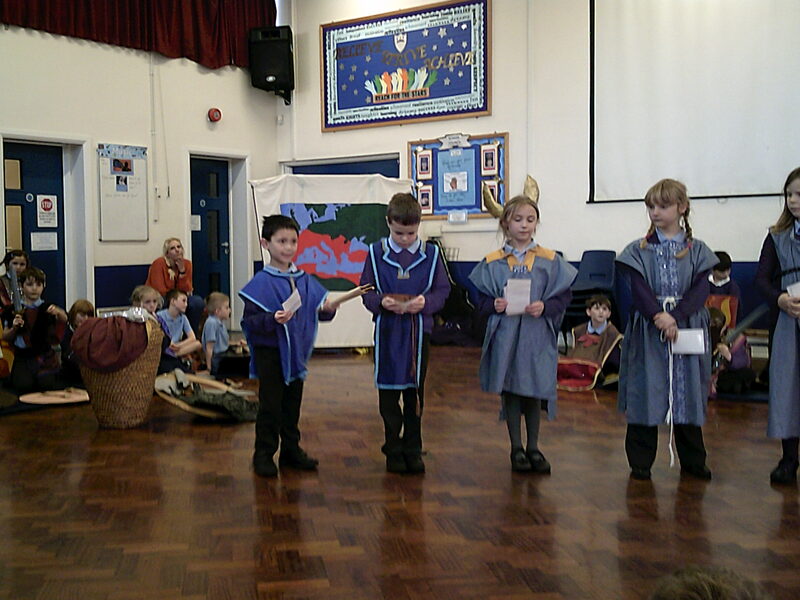 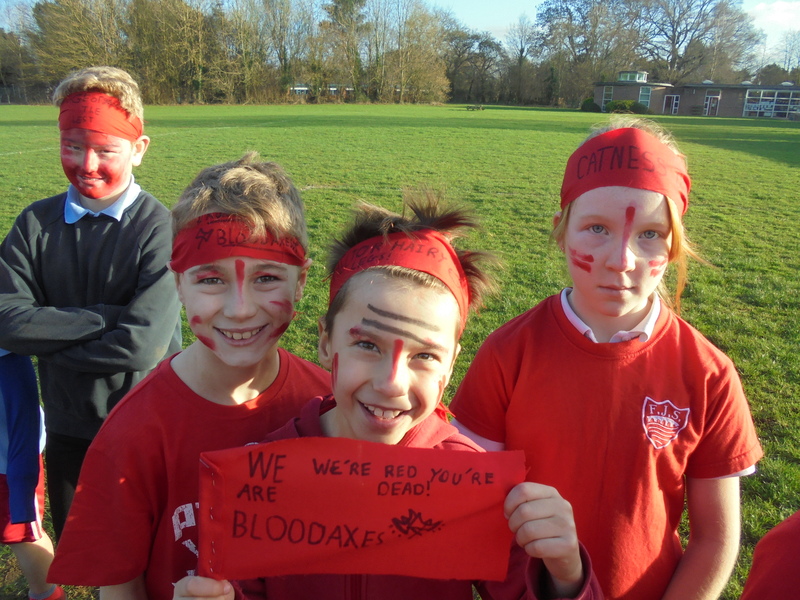 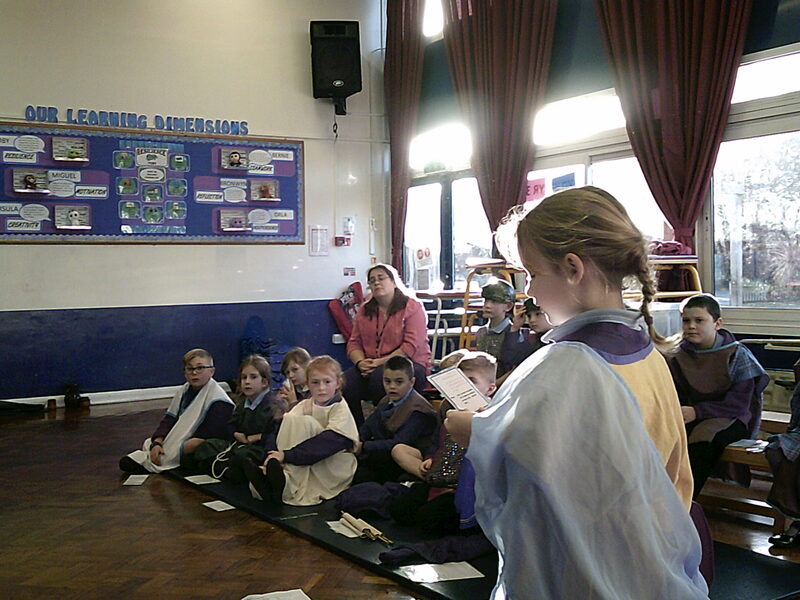 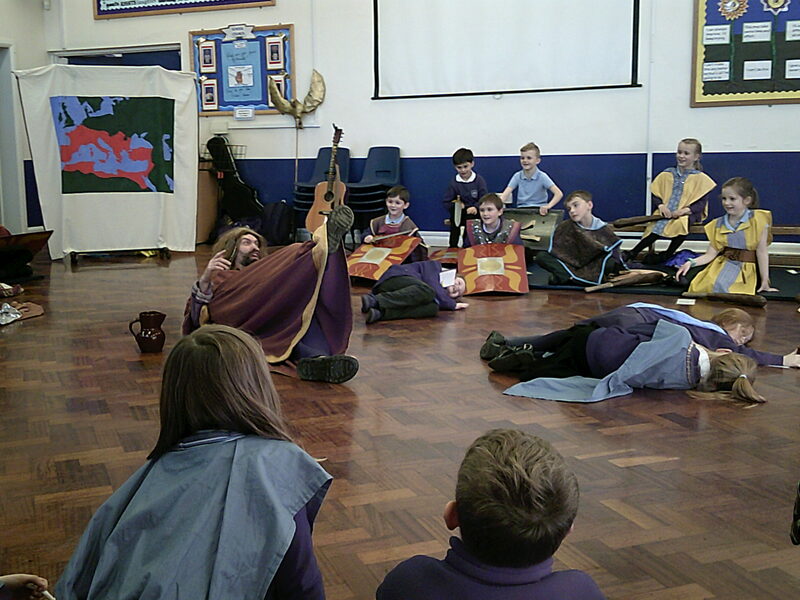 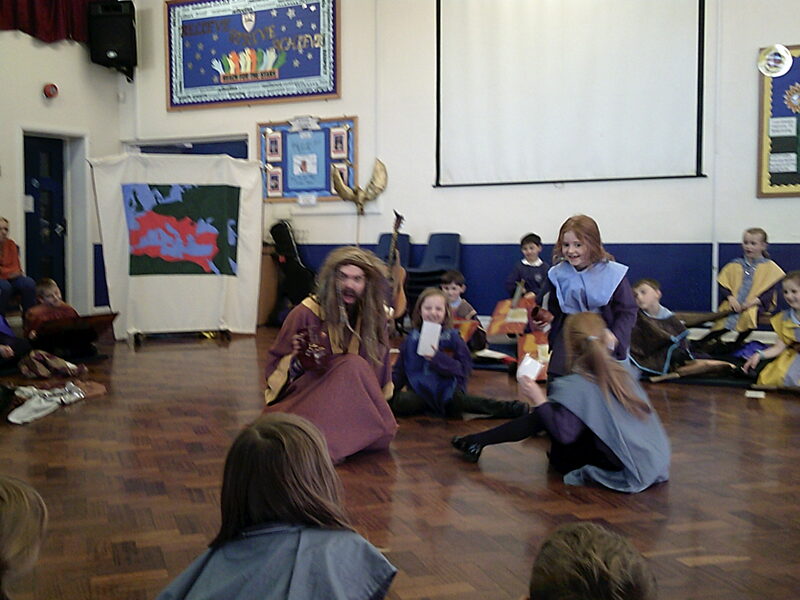 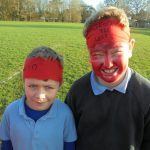 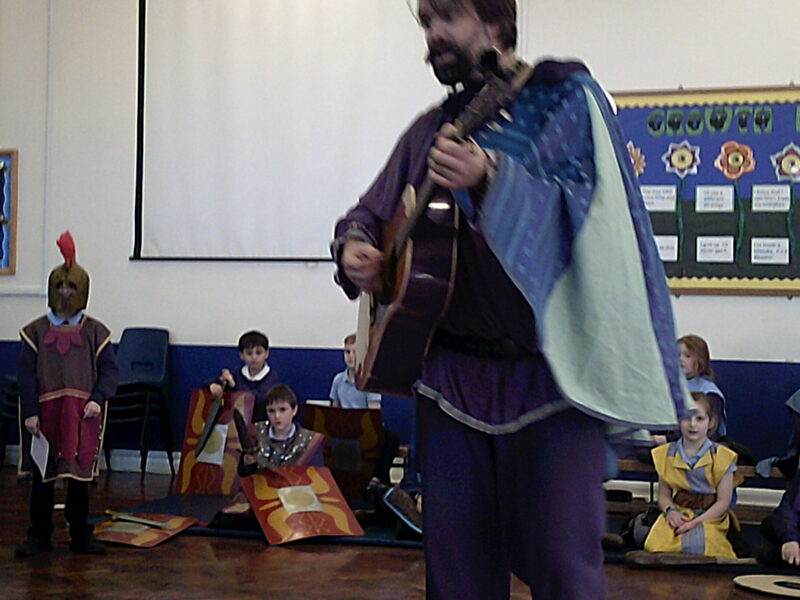 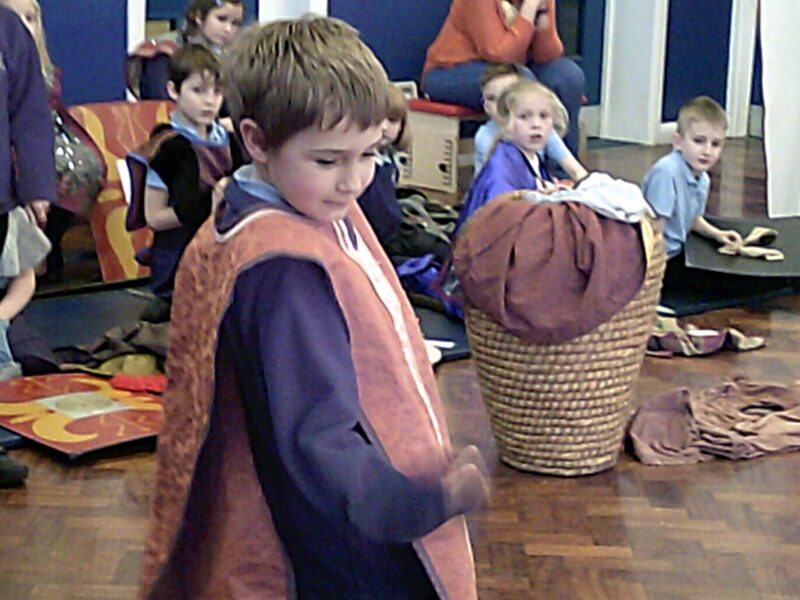 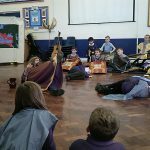 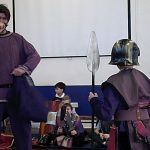 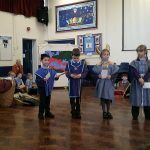 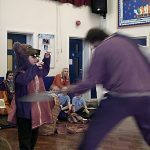 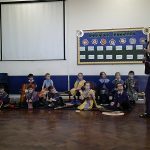 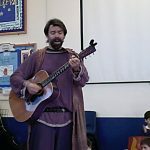 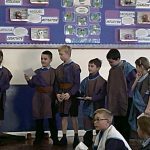 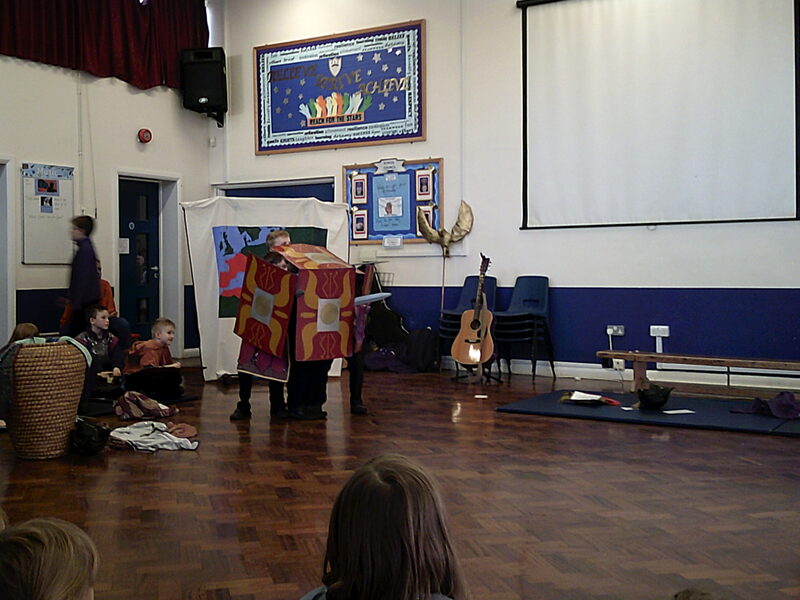 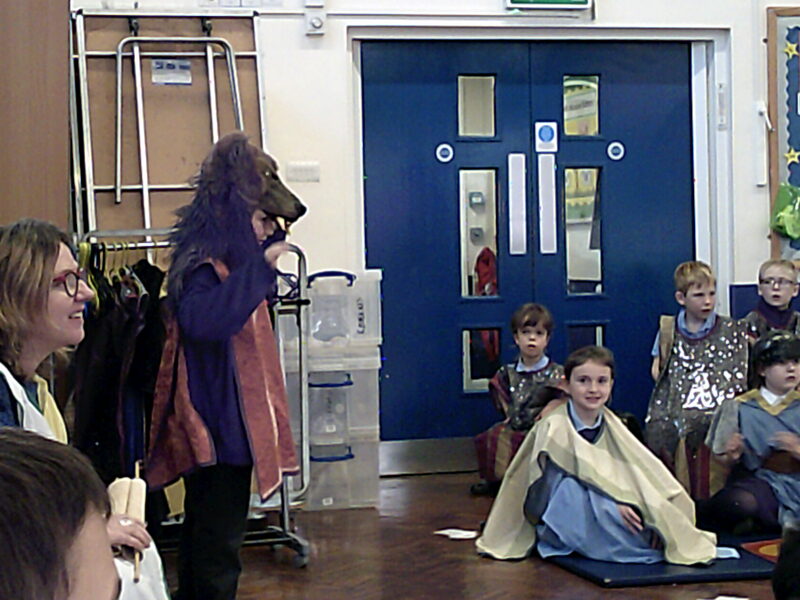 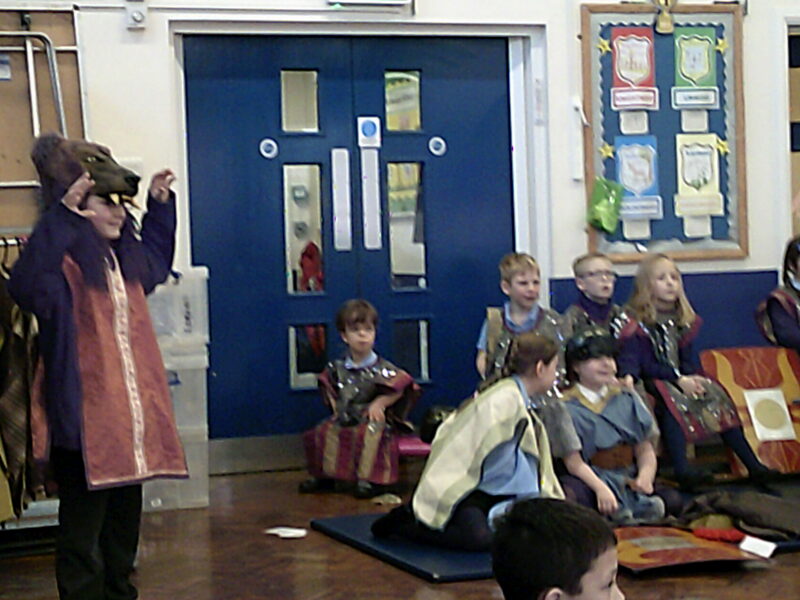 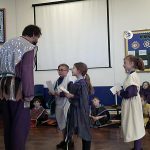 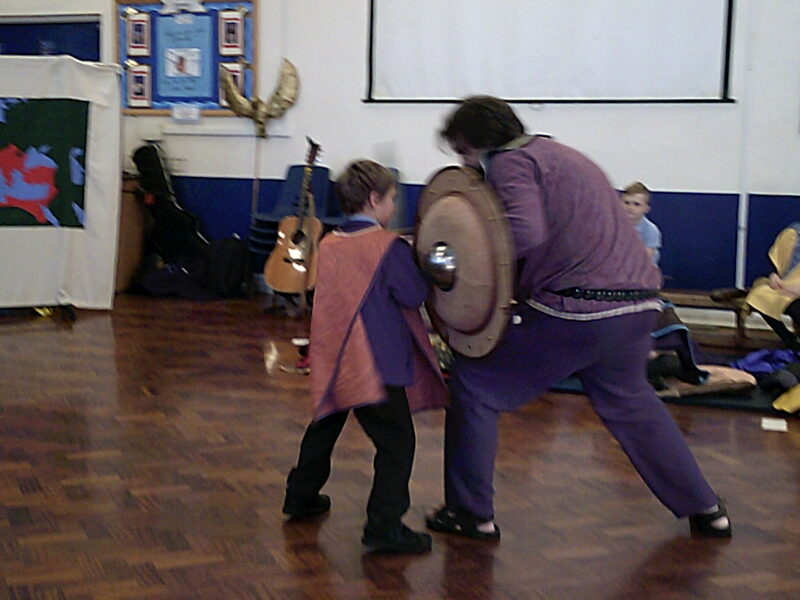 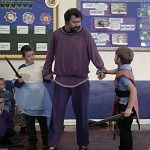 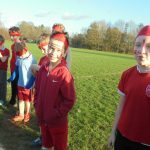 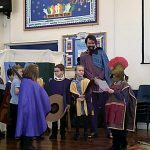 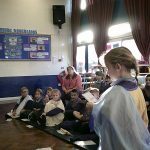 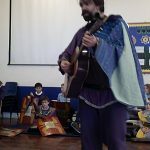 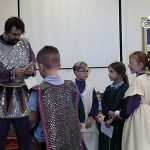 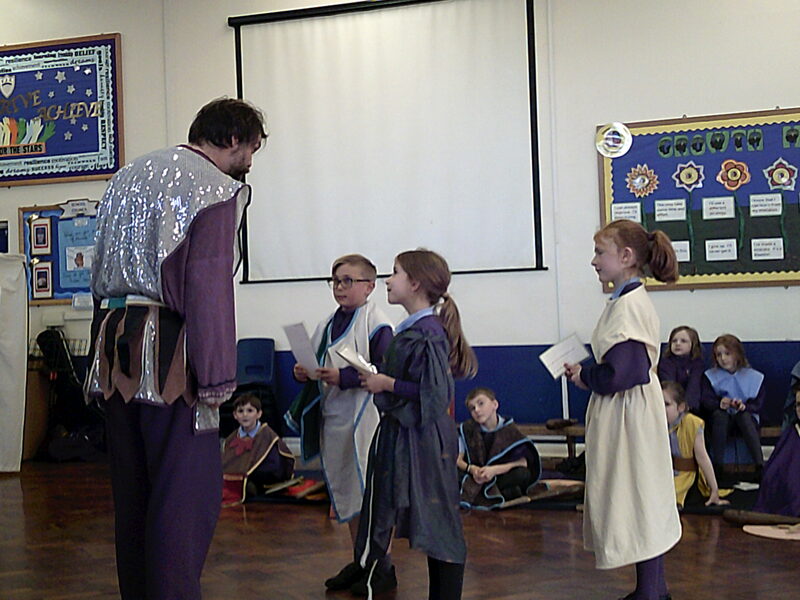 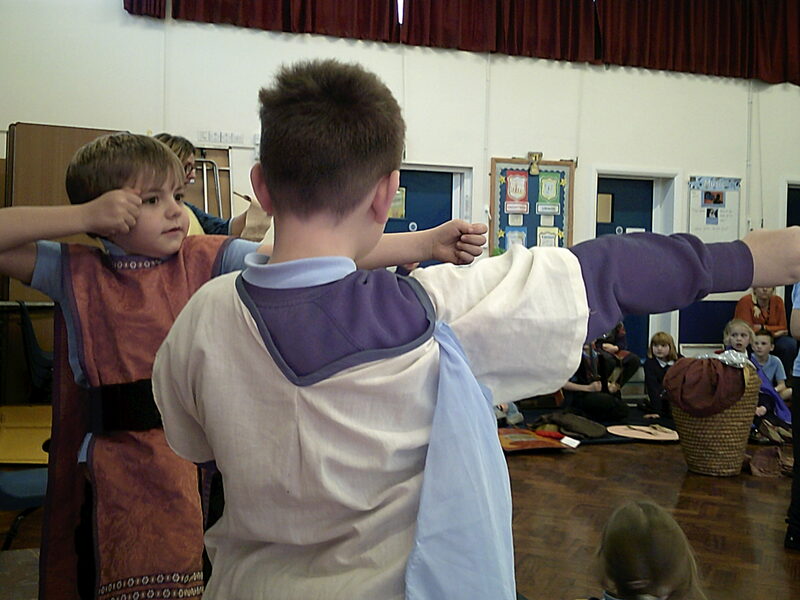 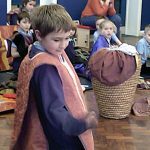 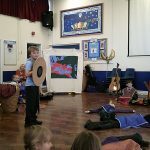 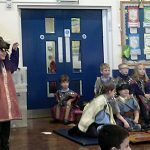 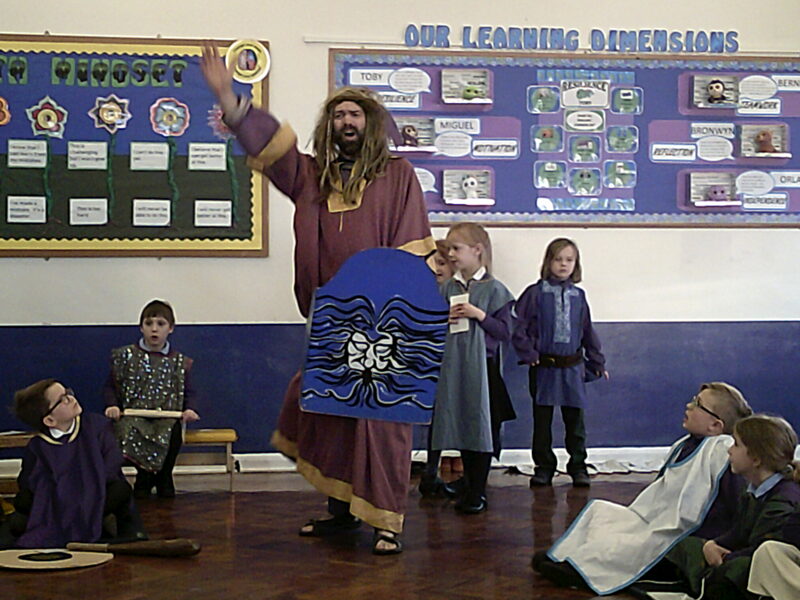 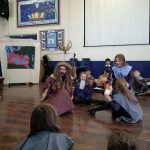 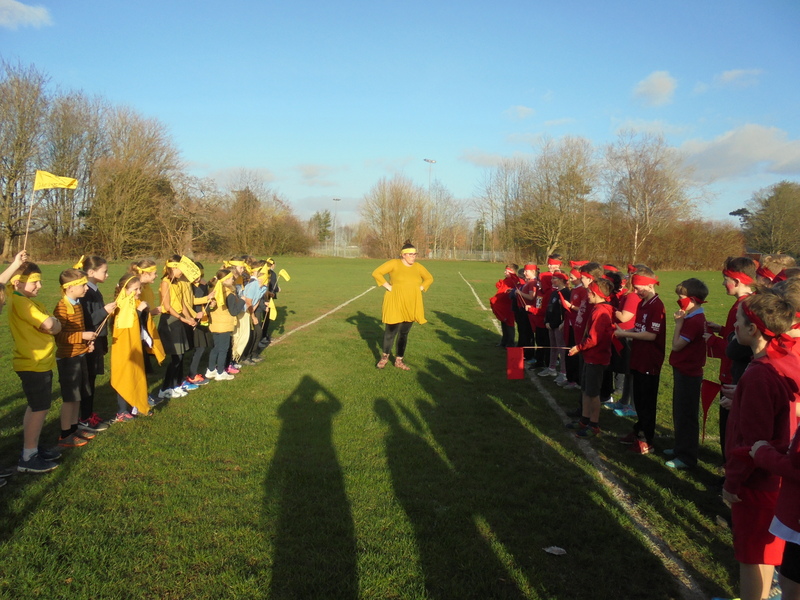 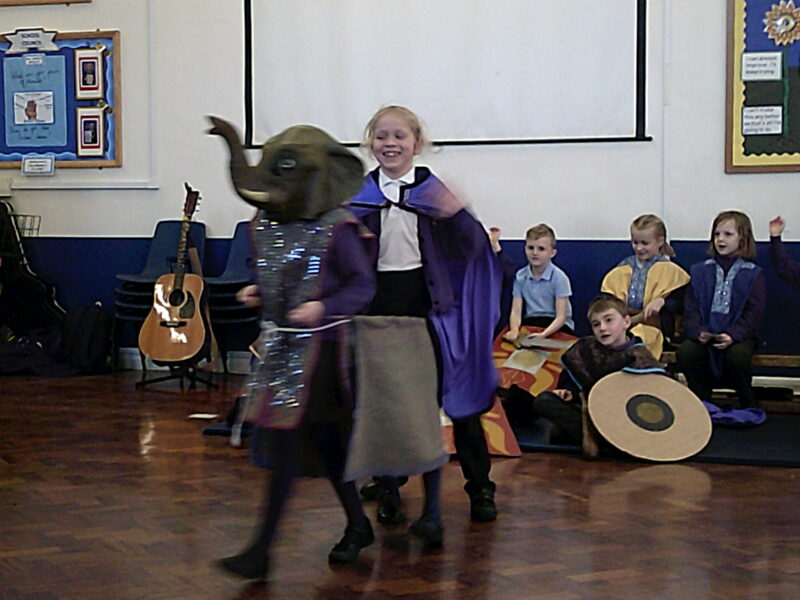 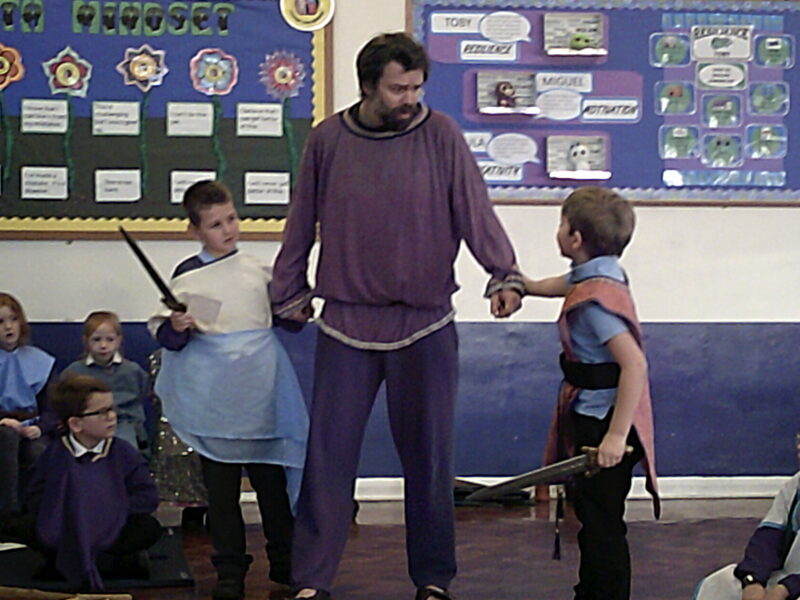 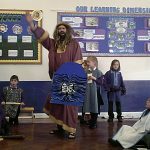 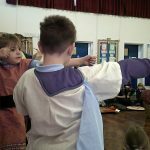 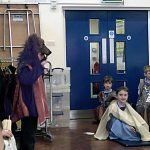 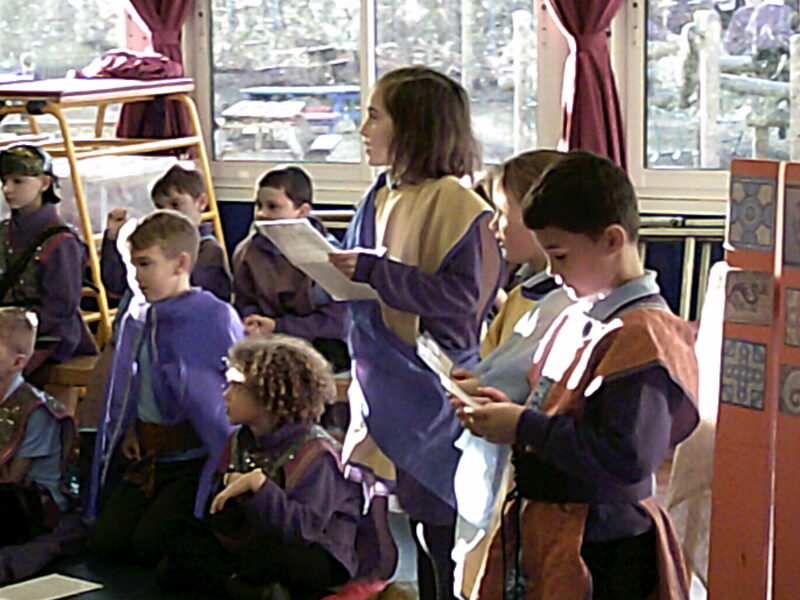 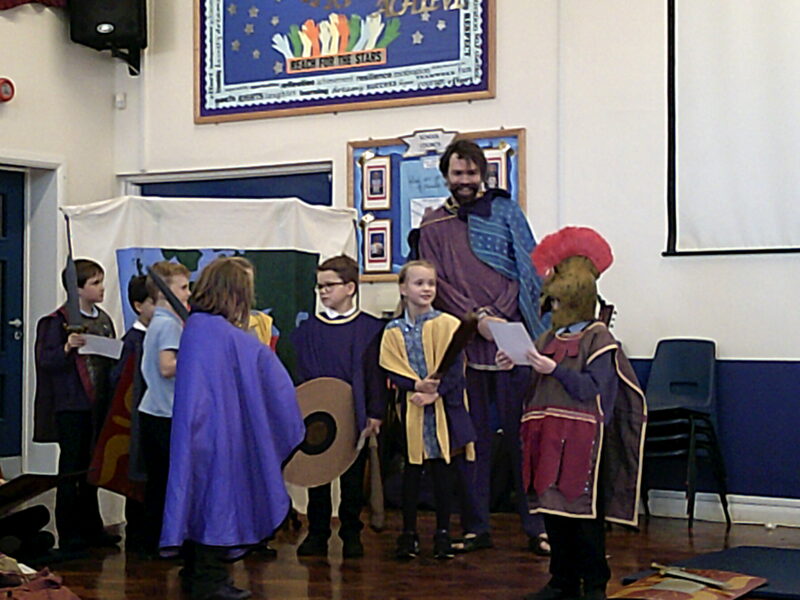 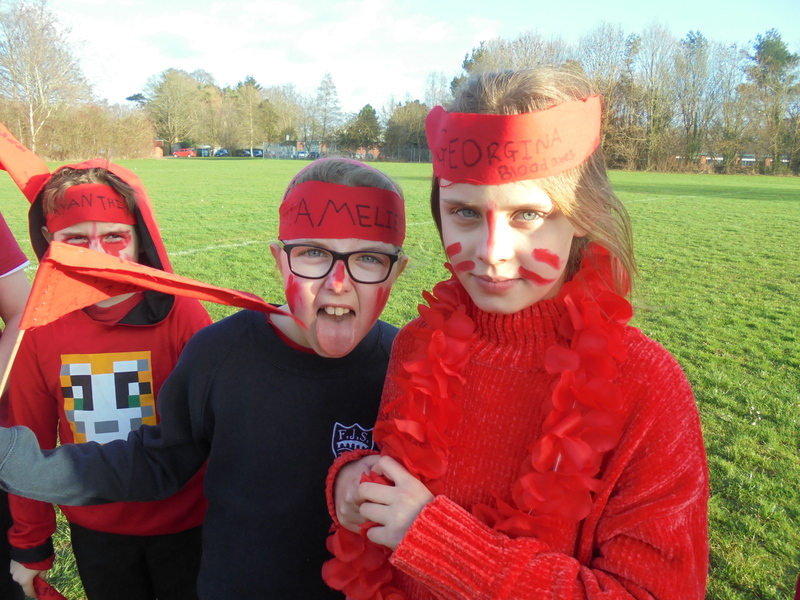 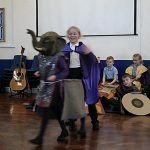 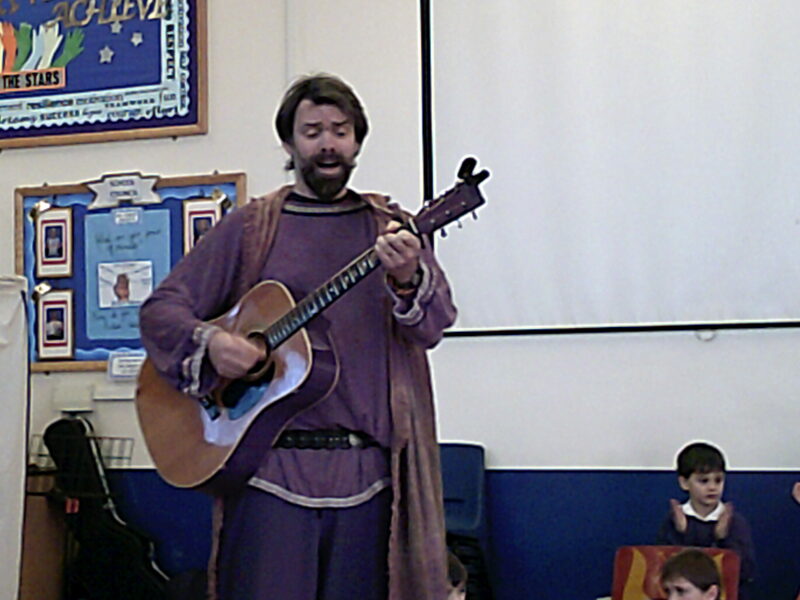 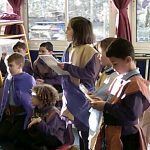 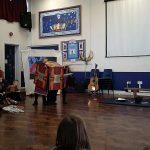 Wr had an amazing day this week when Ben from the Tree House Theatre came to teach the children all about how Romans invaded Britain in the form of a play. 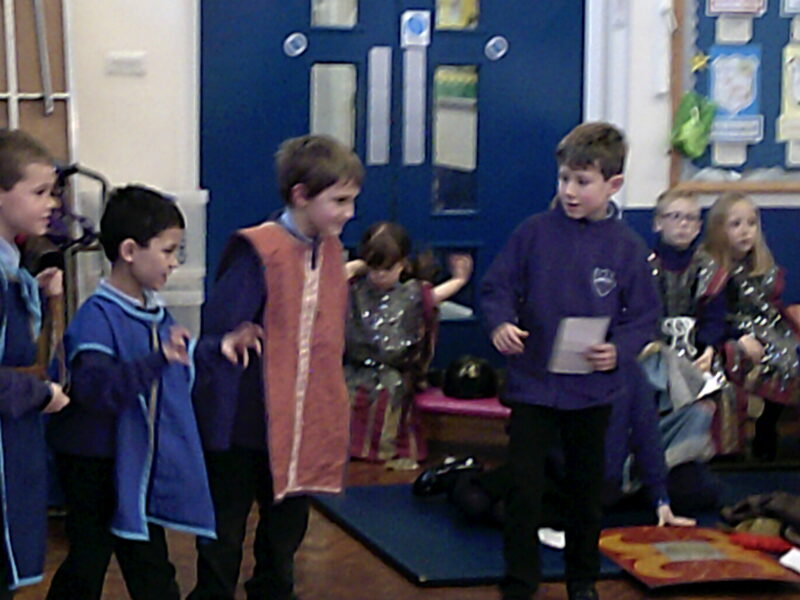 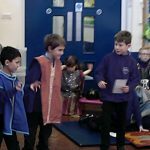 Children were given a part (or two) in the play to act out and say lines. 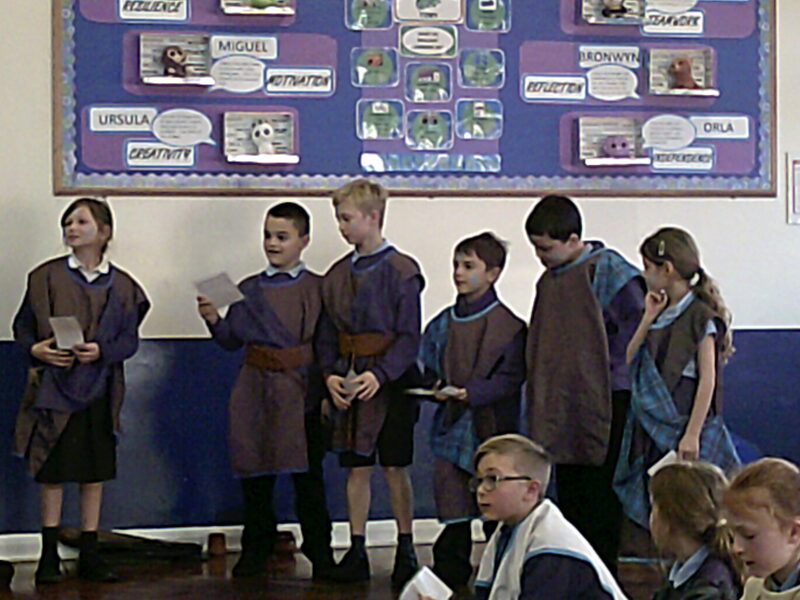 We had elephants, wolves, Emperors, a Roman army, a Scottish Army and slaves to name but a few. 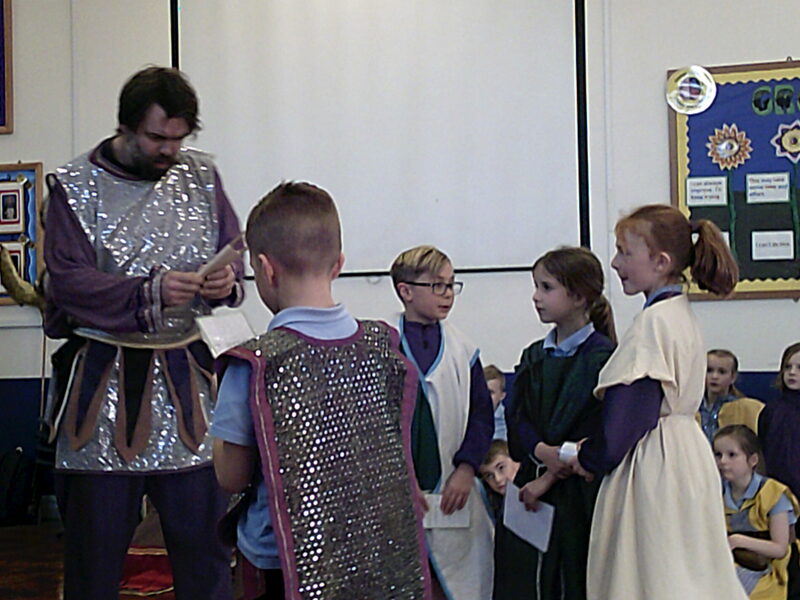 Children learnt a plethora of history, which we will explore in more detail. 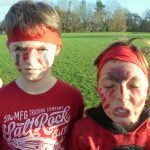 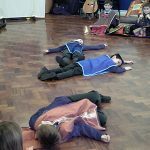 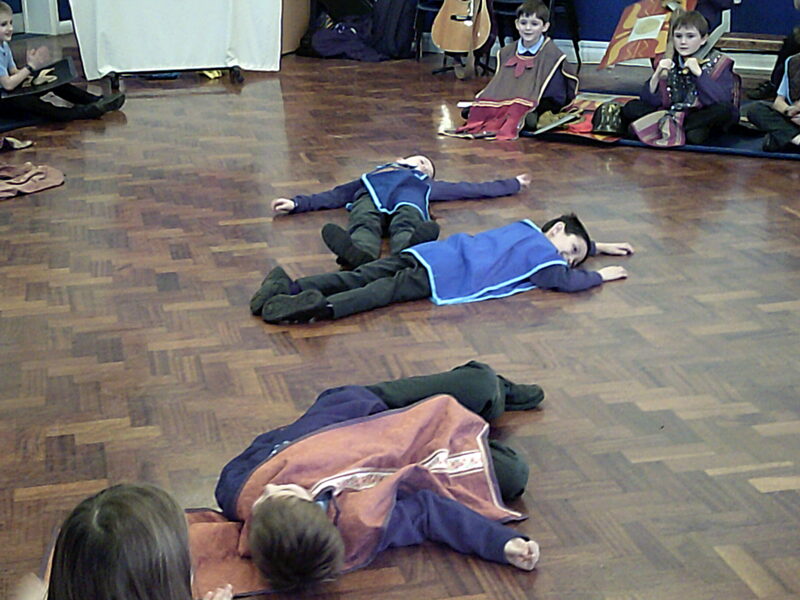 Never in one performance did we see so many children perform spectacular deaths! 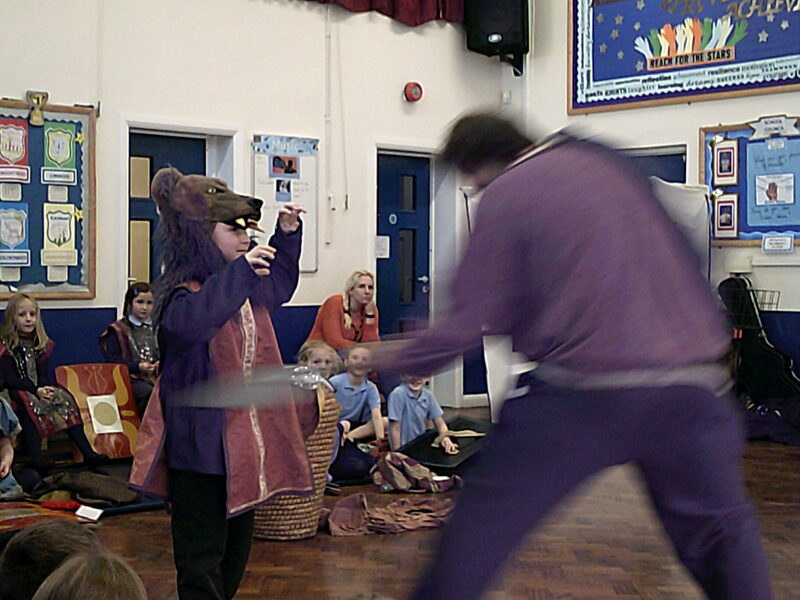 The grizzly bear was particularly good!! 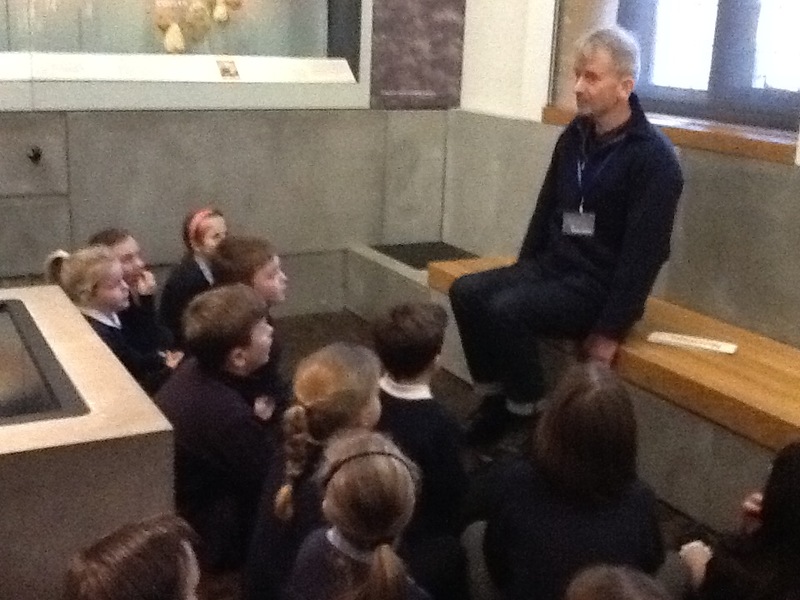 Children were also amused about what a sponge on a stick was used for! 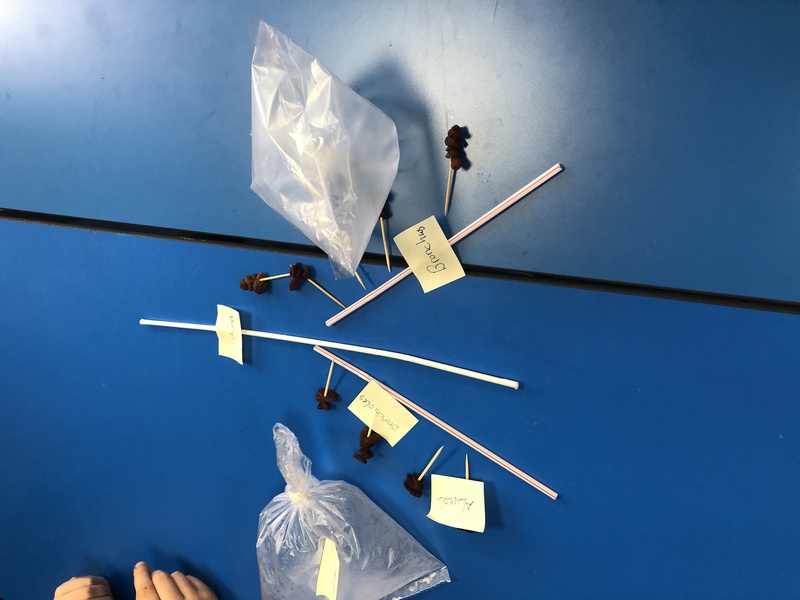 It was a fantastic hook to our topic this term and no doubt children will go home with even more interesting facts to tell at home!! 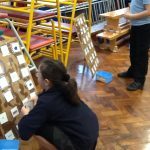 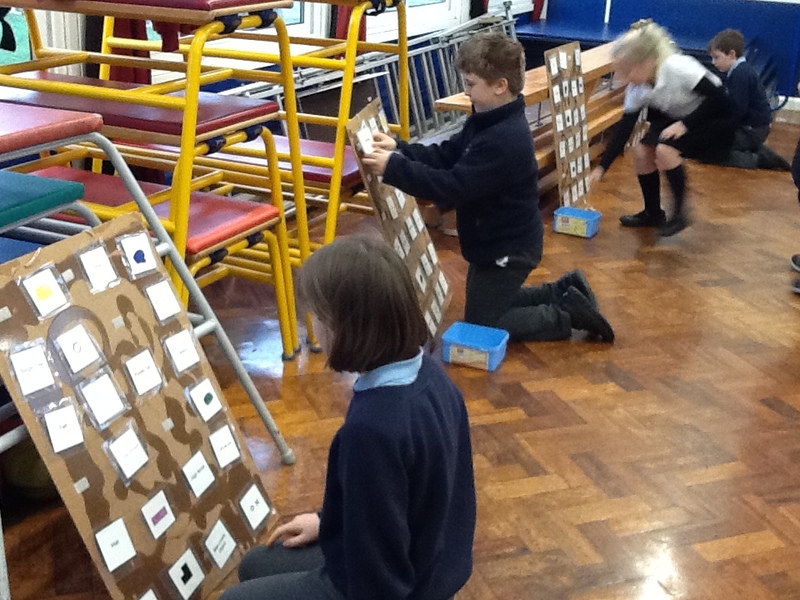 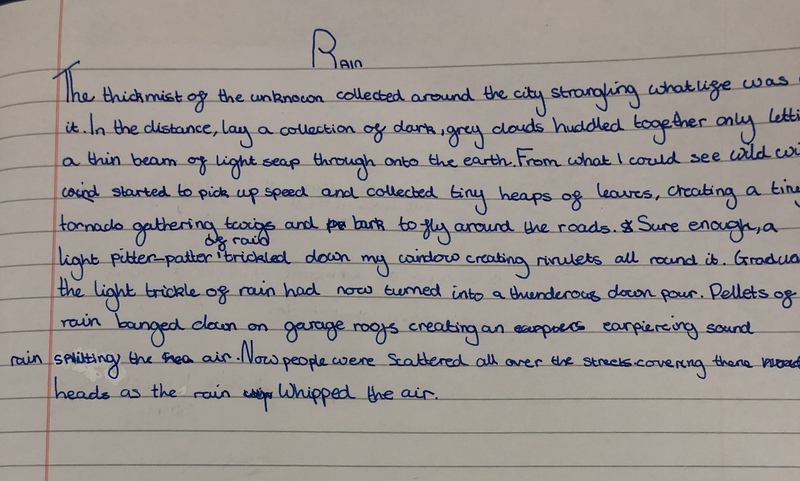 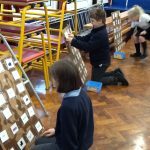 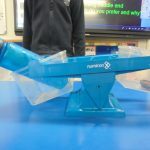 Year 6 have been exploring figurative language and have now used it in their own rain descrption writing. 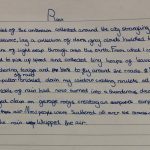 Can you spot the any of the skills we looked at in this piece of writing? 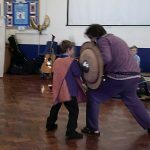 We had names to intimidate, ancestors to inspire, a war dance to conjure fear in the fearless and we had an enemy tribe. 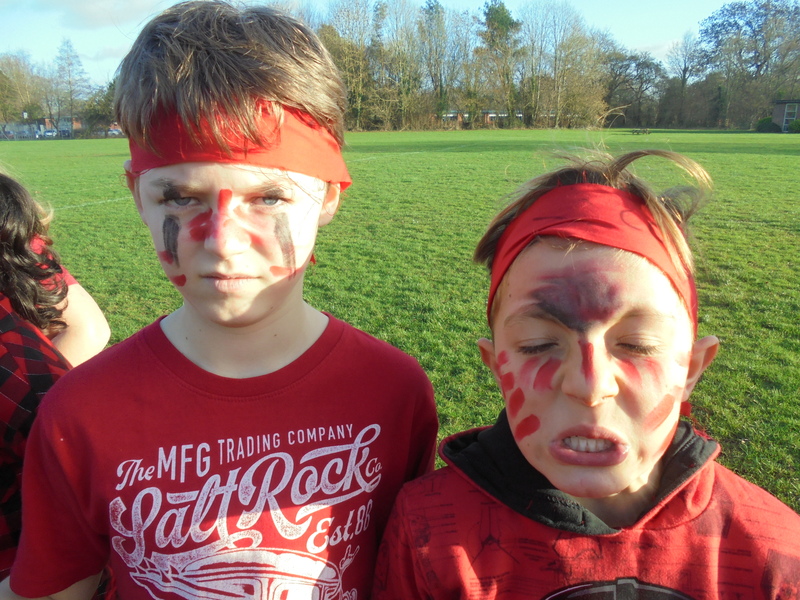 Every ingredient for a great inter-tribal contest. 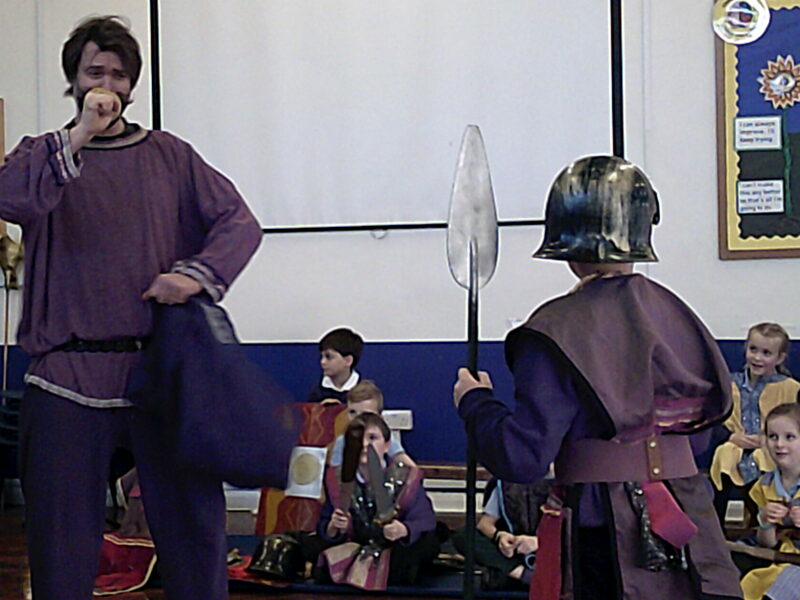 One of the few times in school we were actually encouraged to hurl insults and boast! 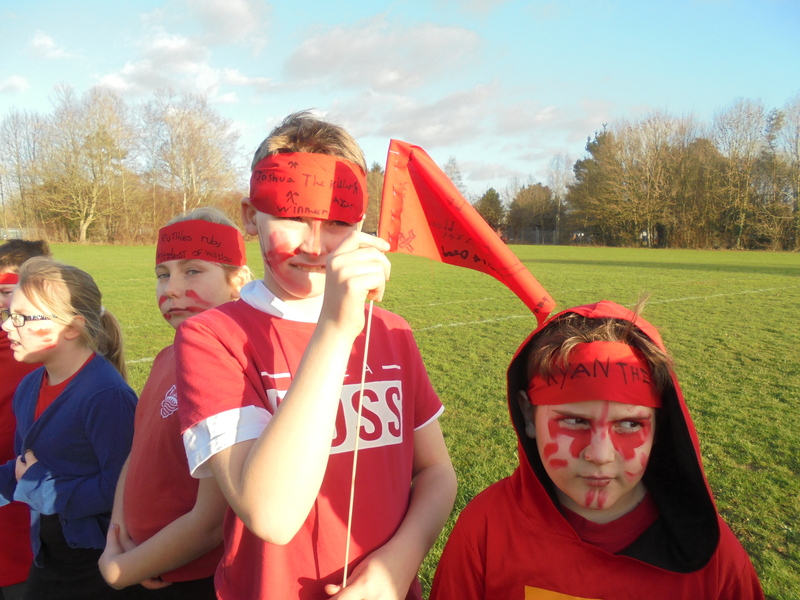 Camps were set up and flags were captured. 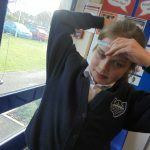 Oh no – are we going to have to write about all this in our English lessons ?